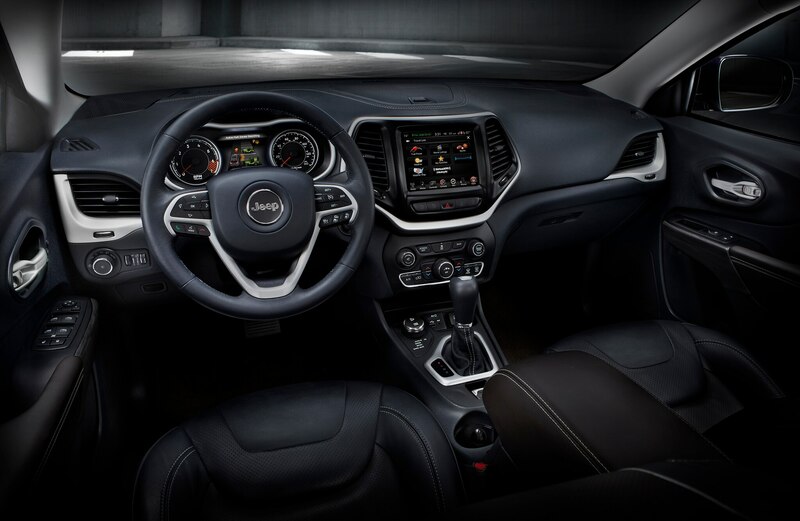 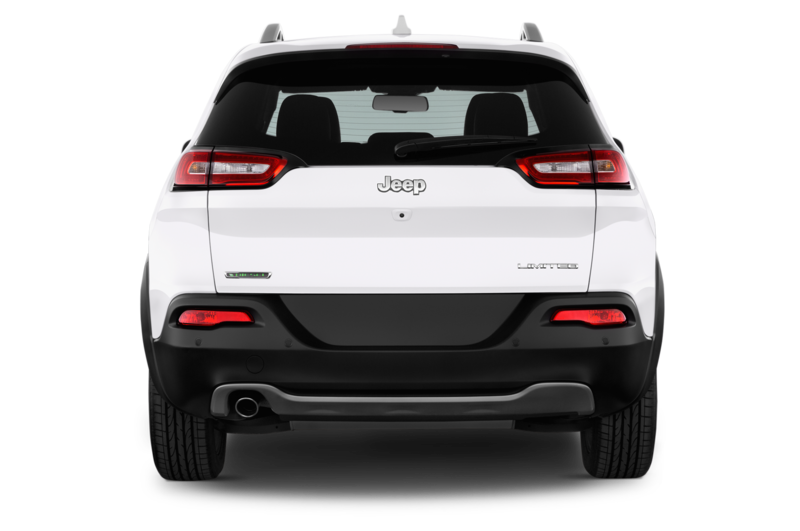 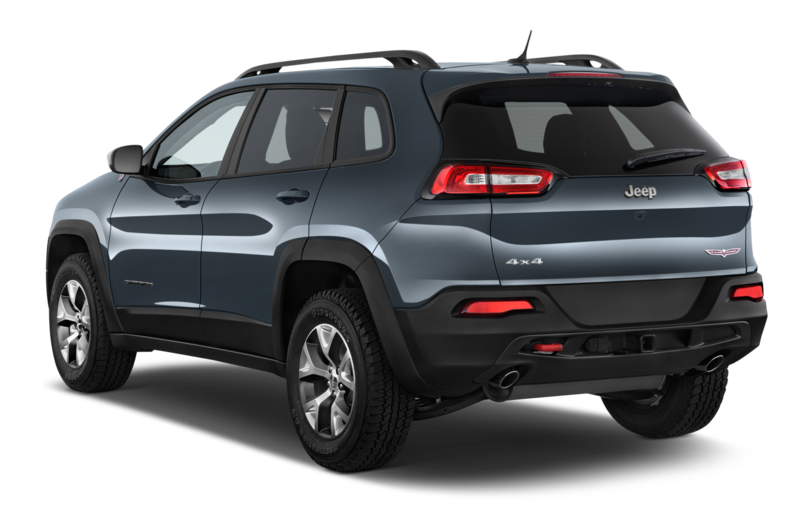 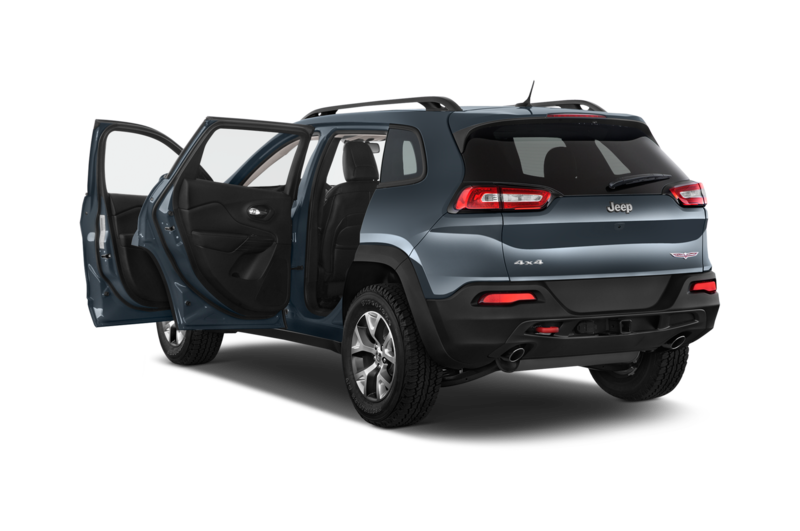 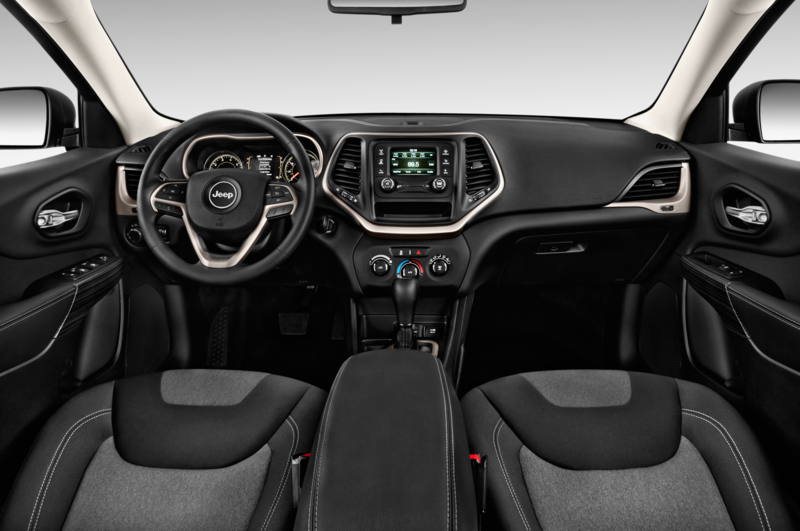 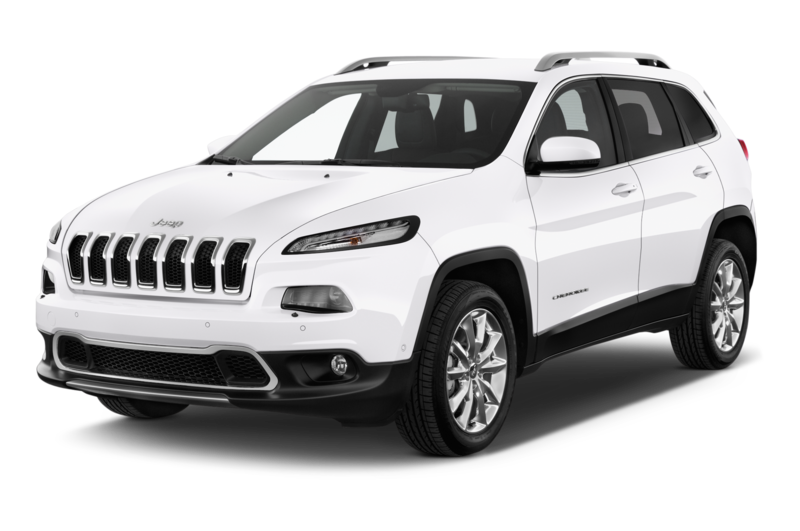 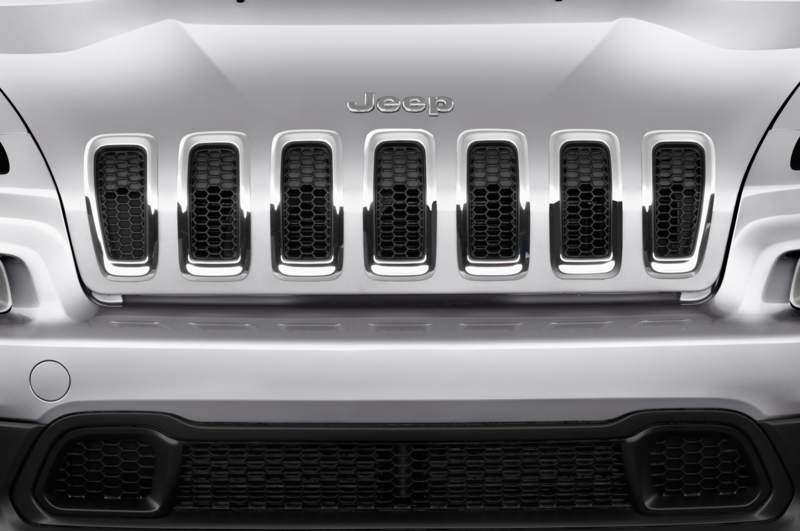 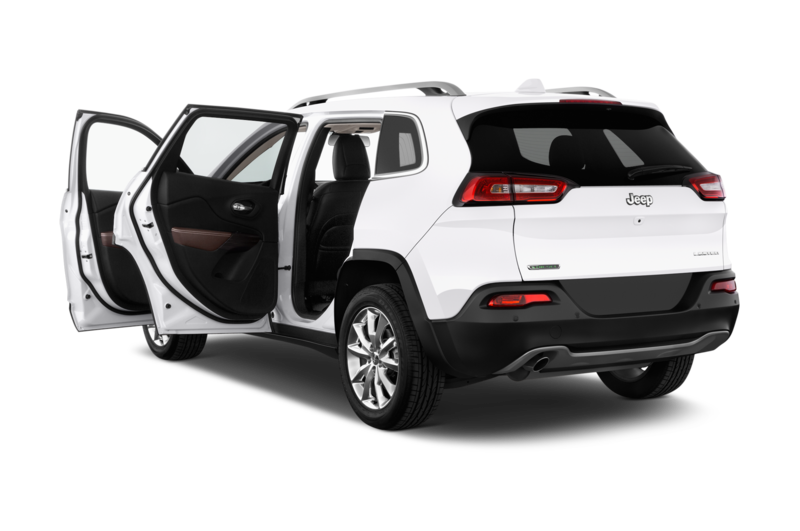 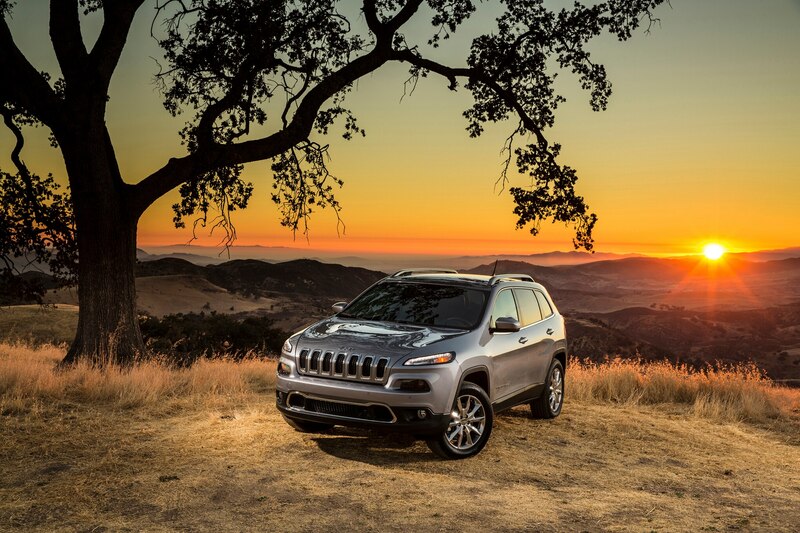 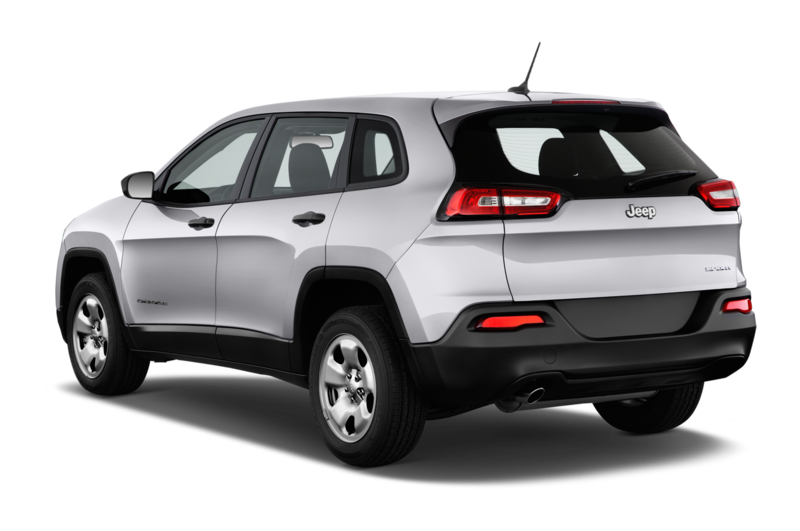 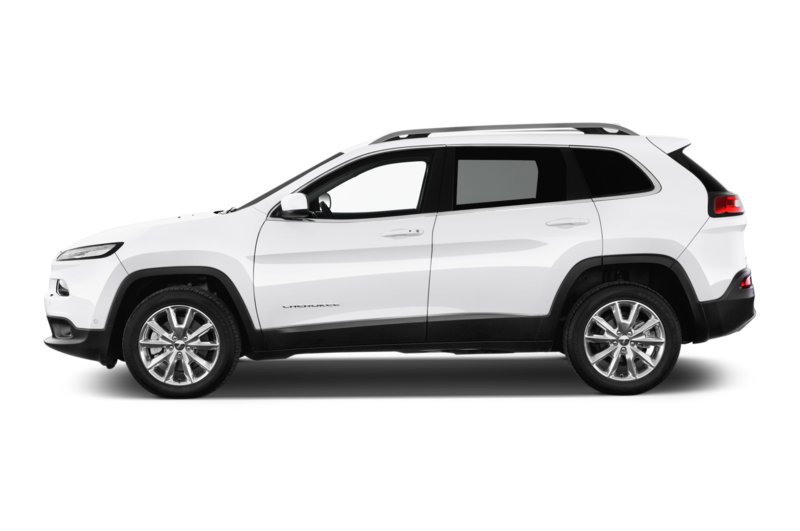 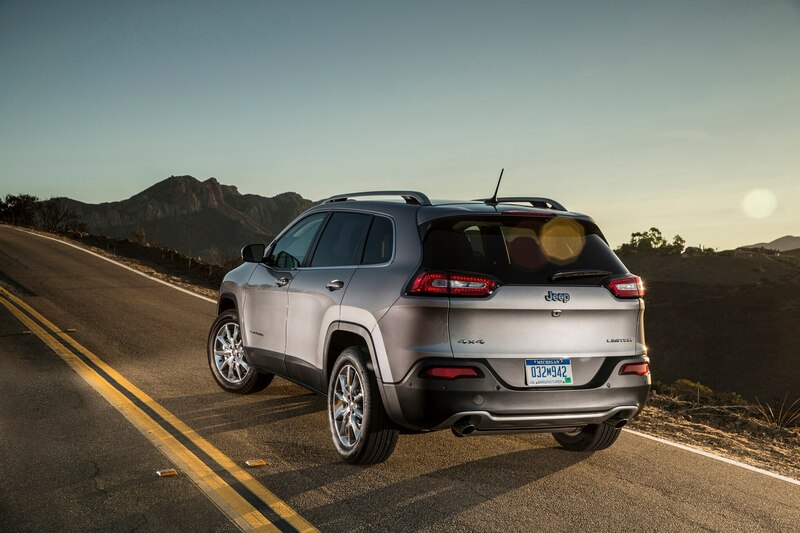 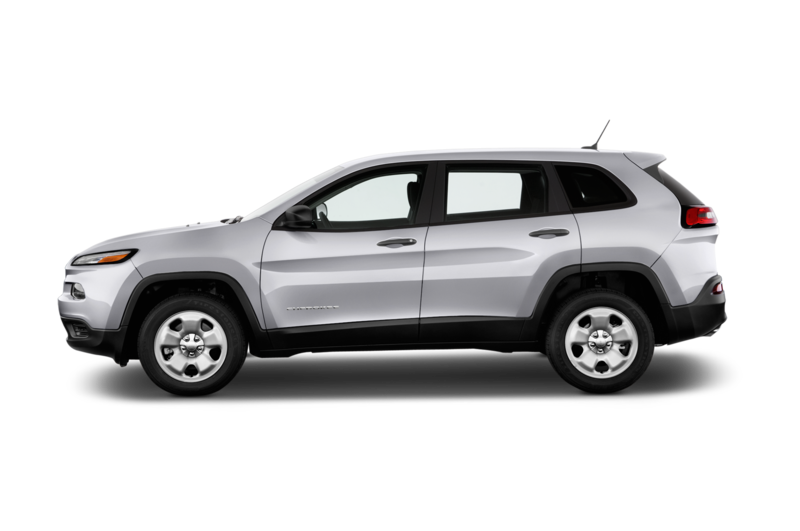 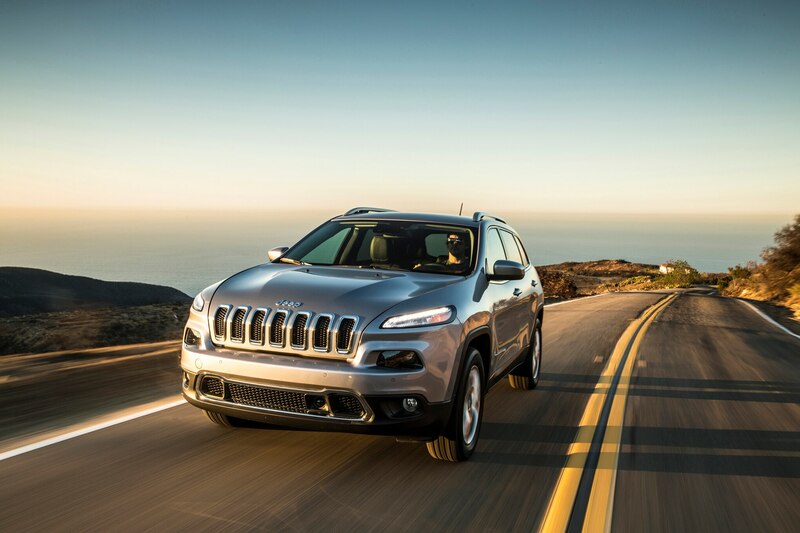 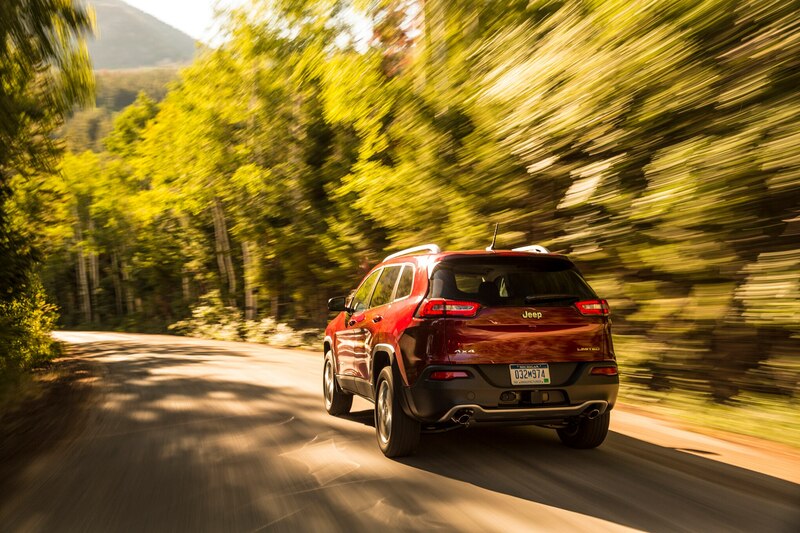 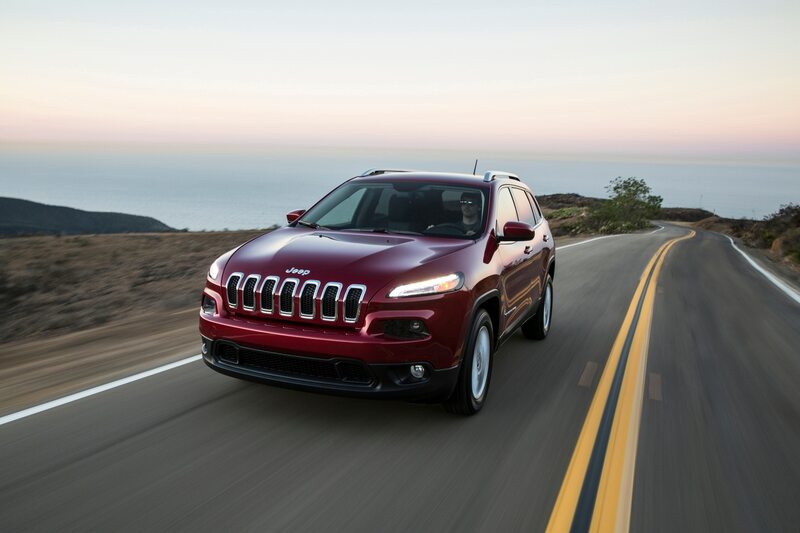 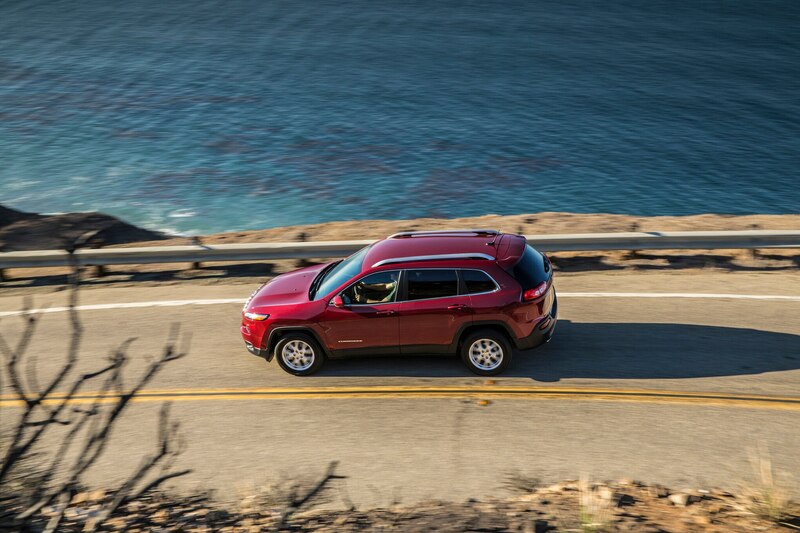 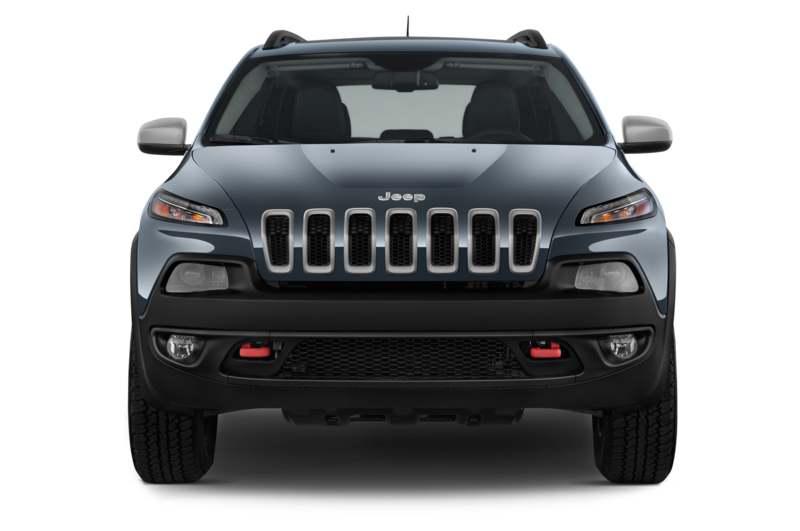 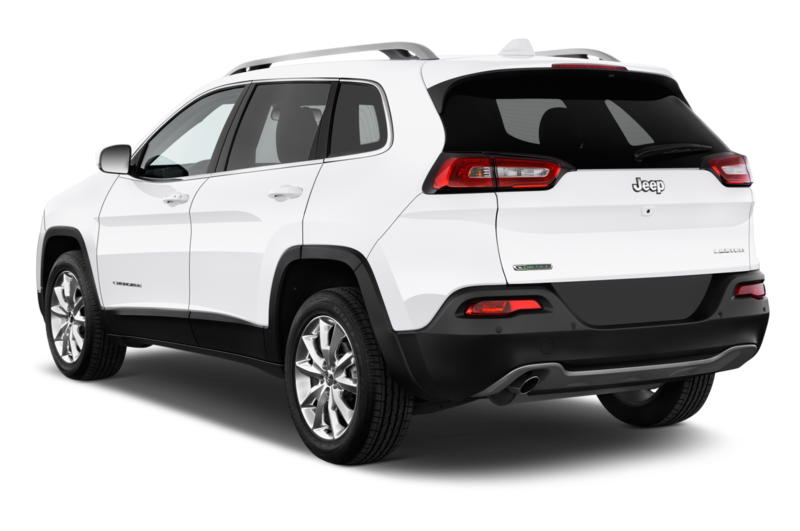 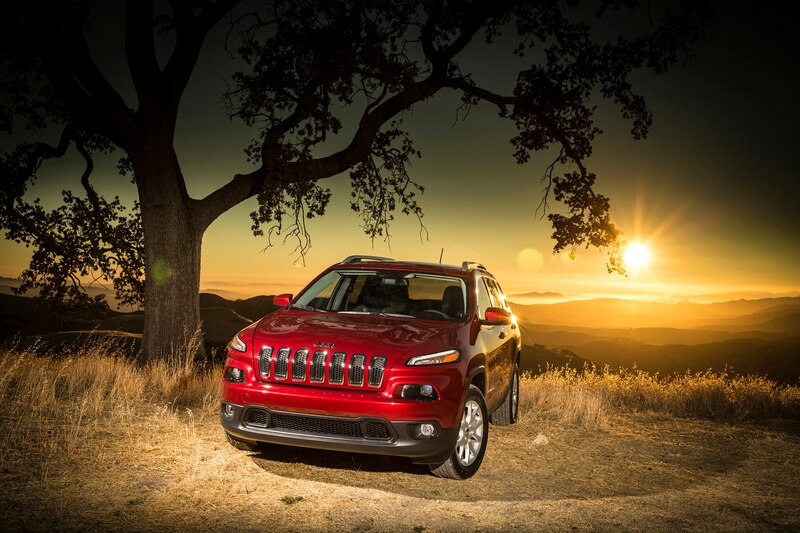 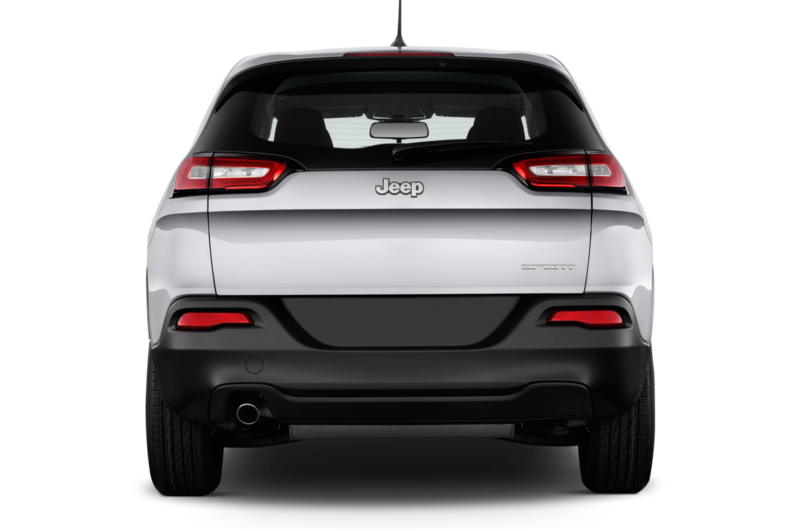 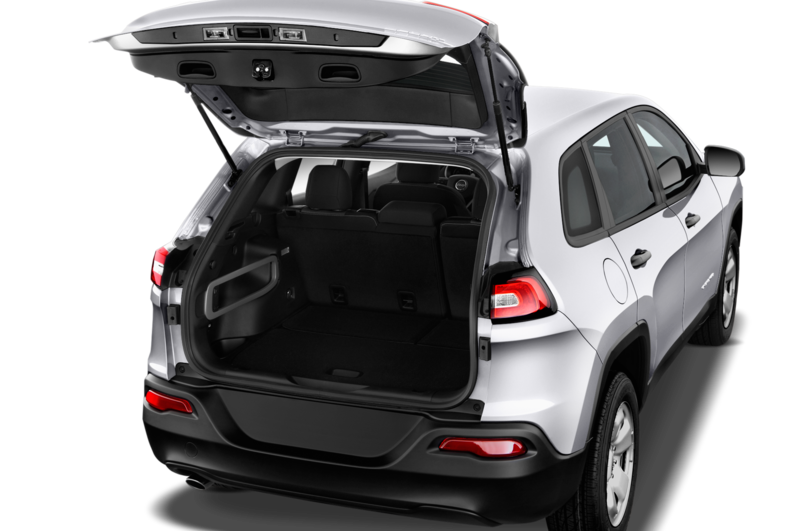 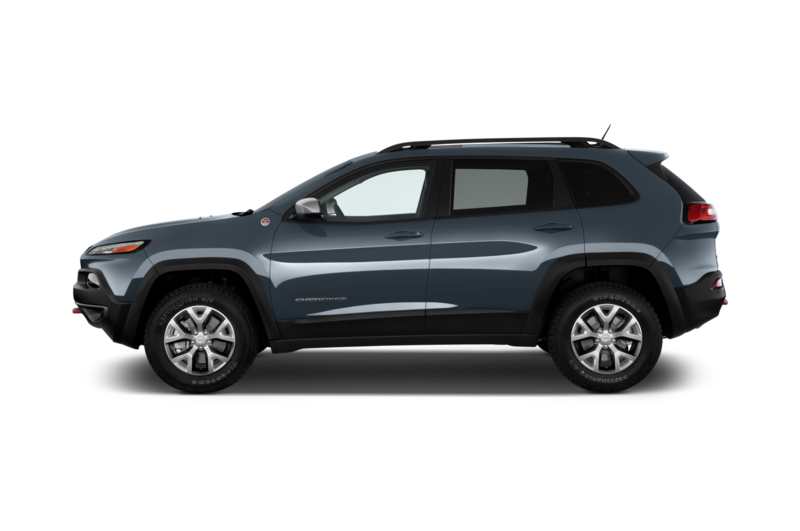 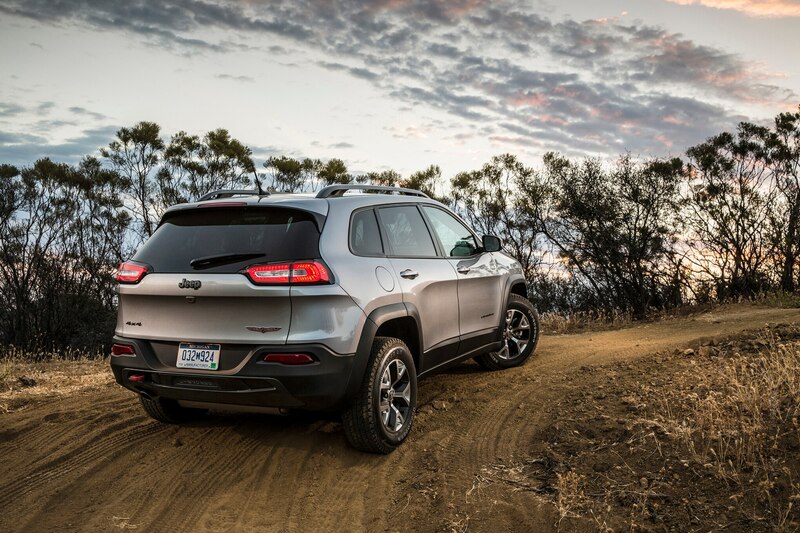 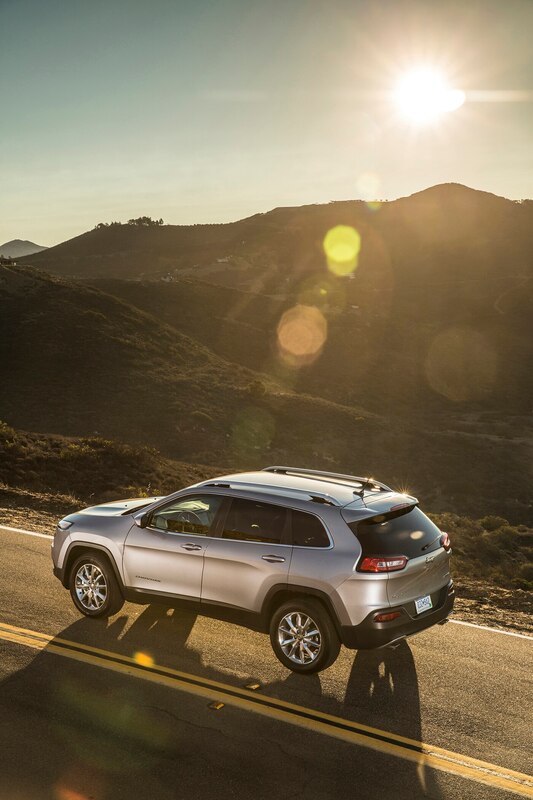 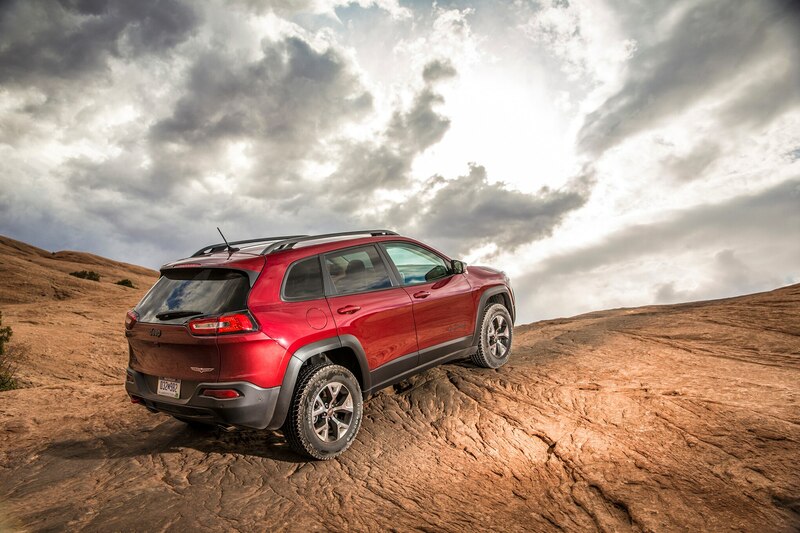 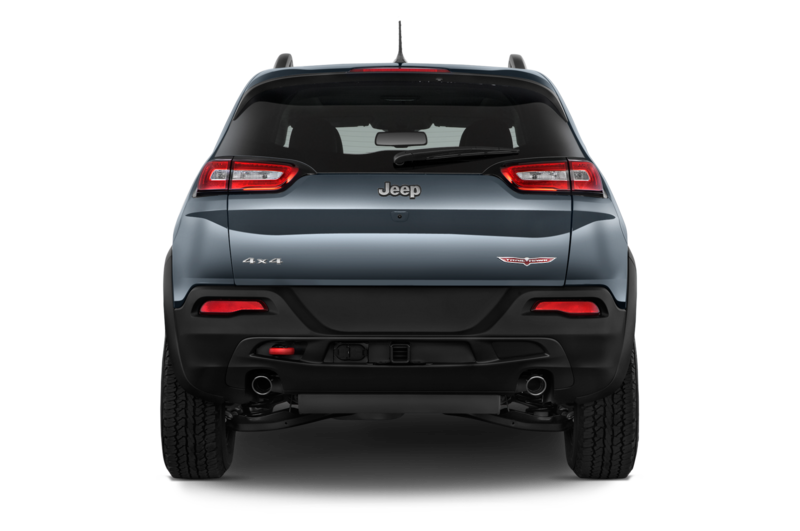 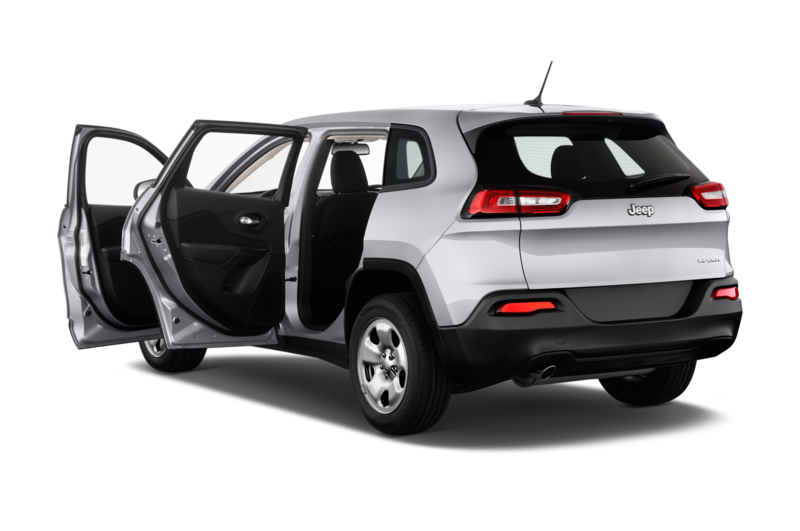 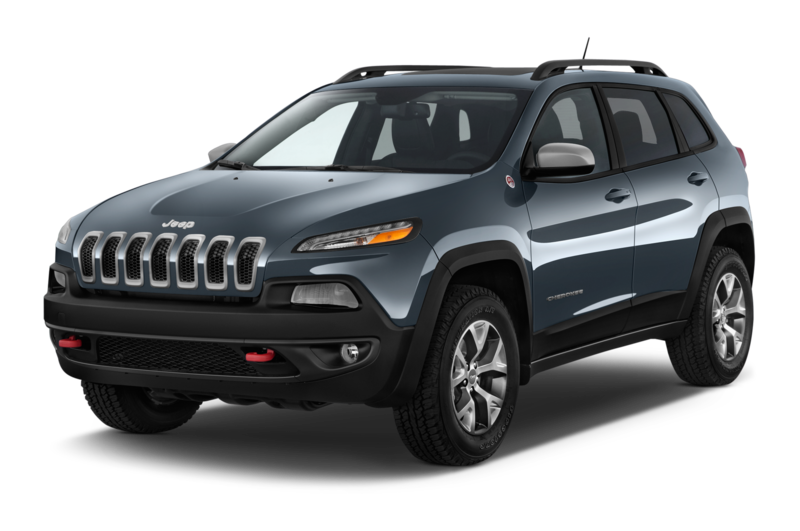 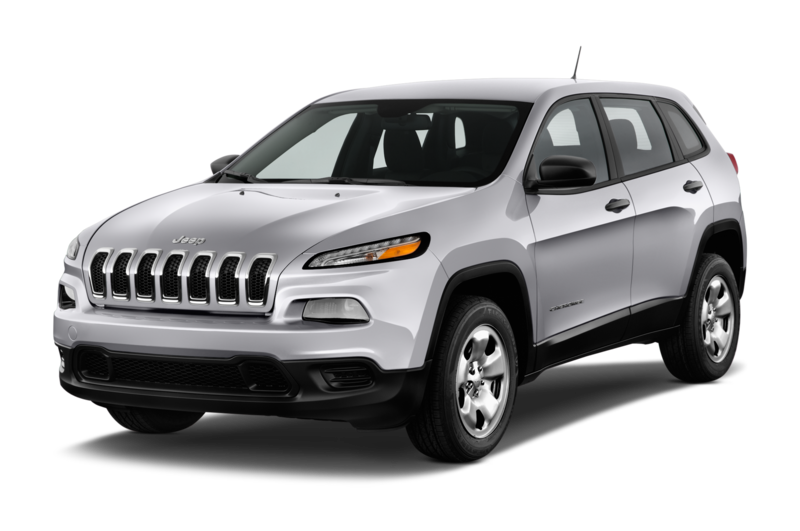 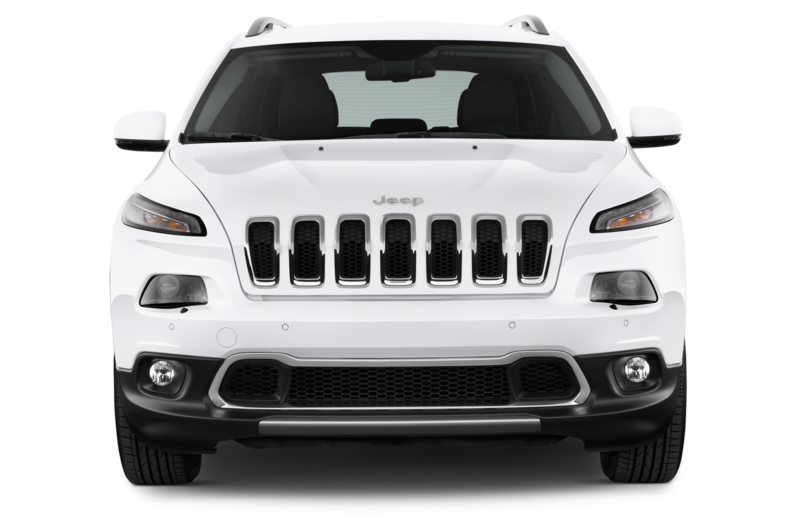 The addition of an engine start-stop system to all 2015 Jeep Cherokee V-6 models improves fuel economy significantly for this popular crossover, as the EPA recently released updated ratings for start-stop-equipped Cherokee models. 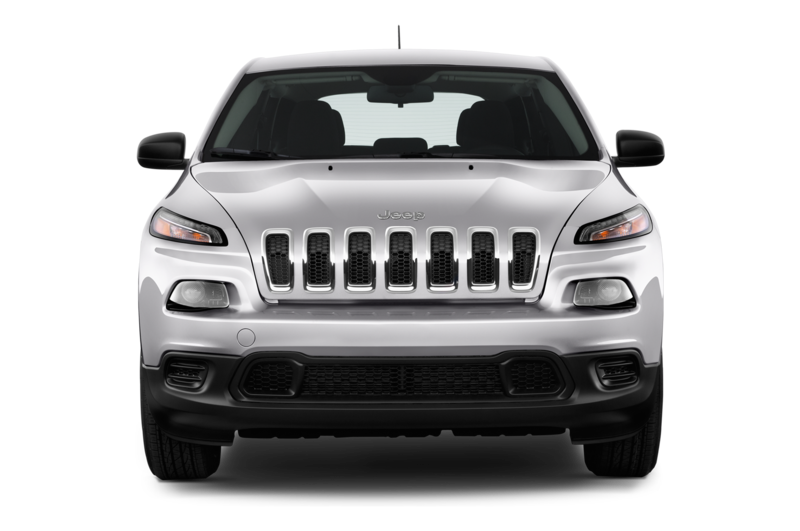 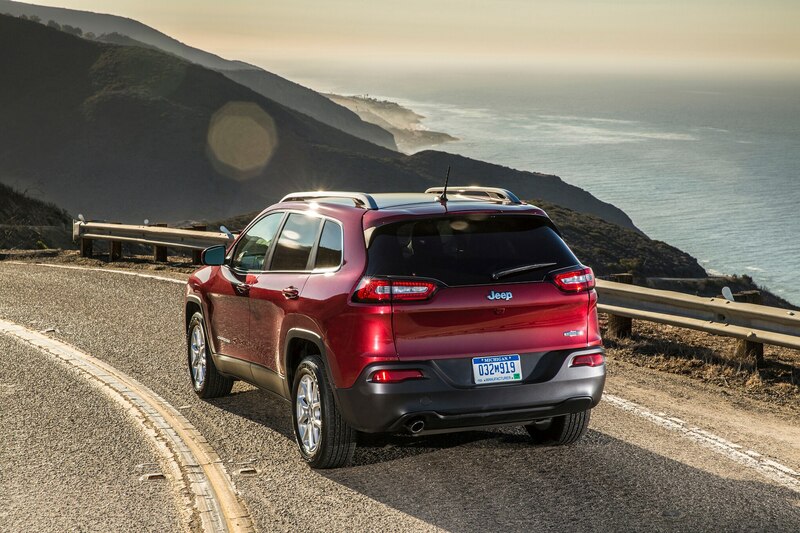 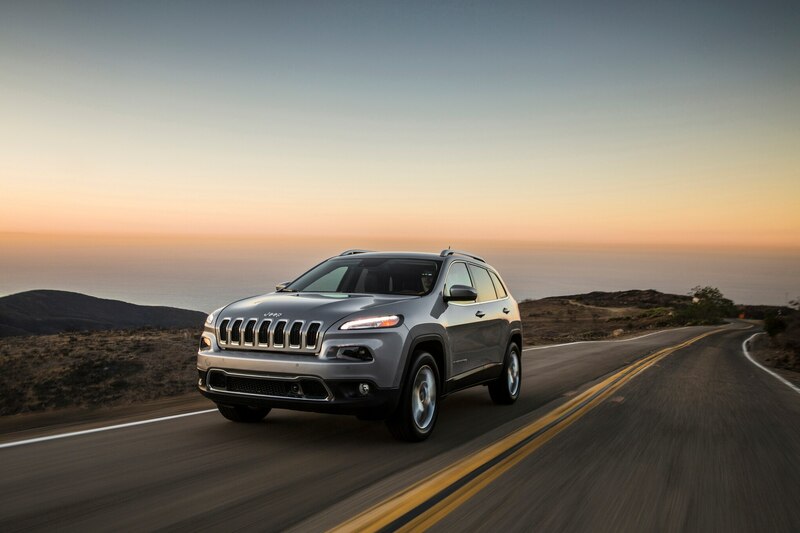 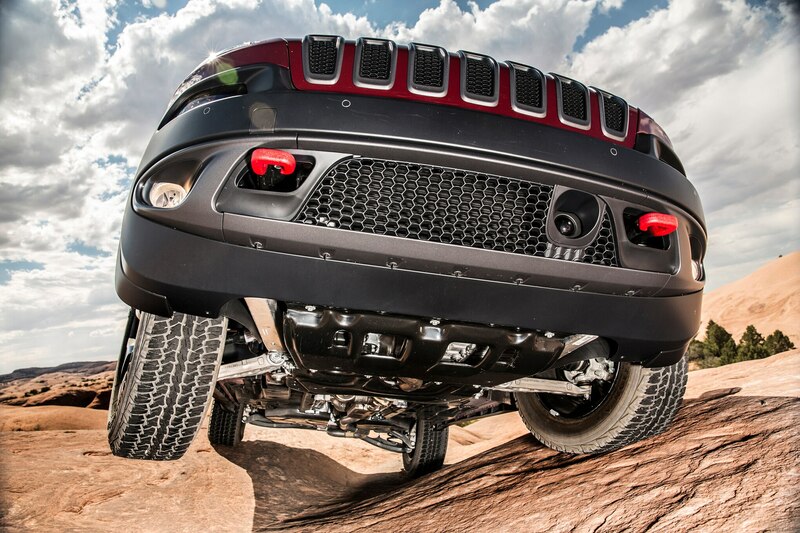 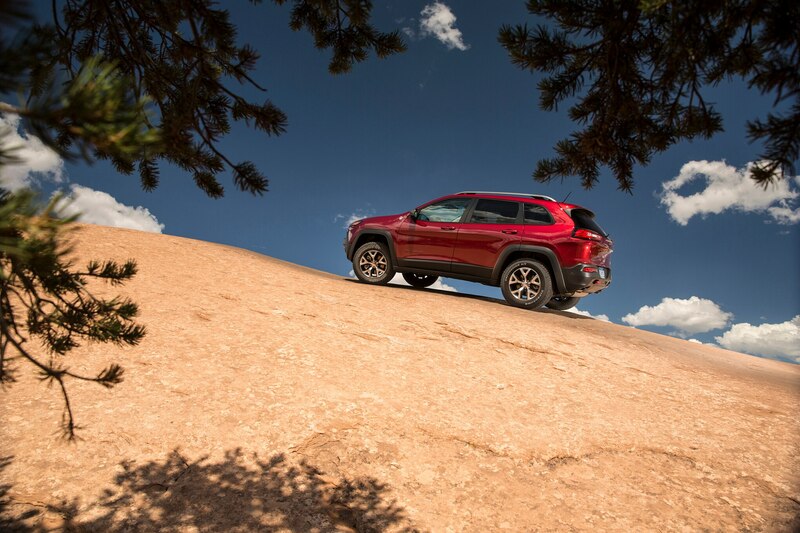 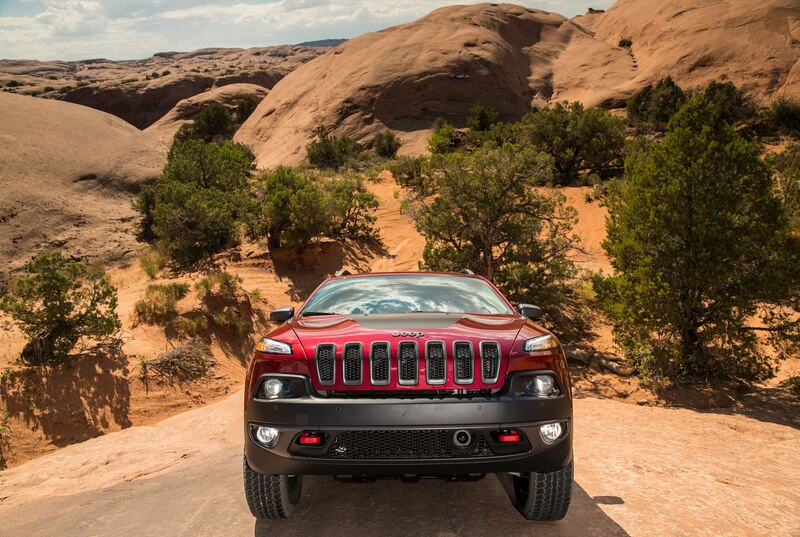 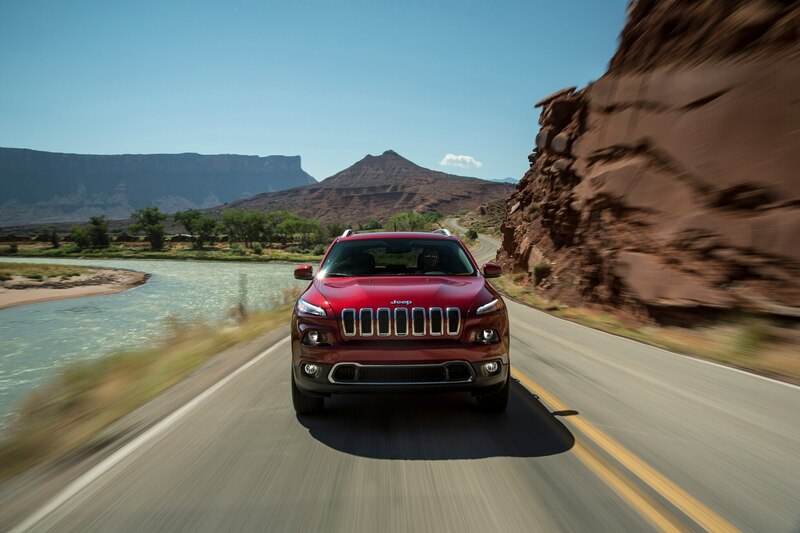 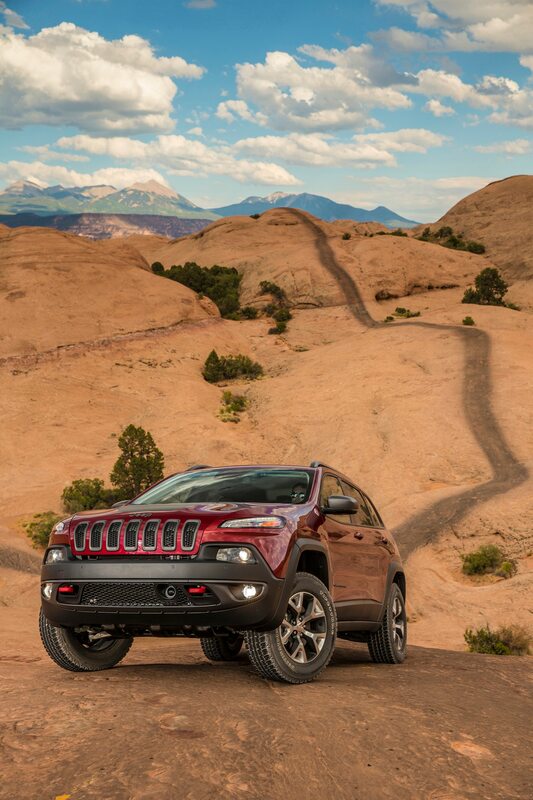 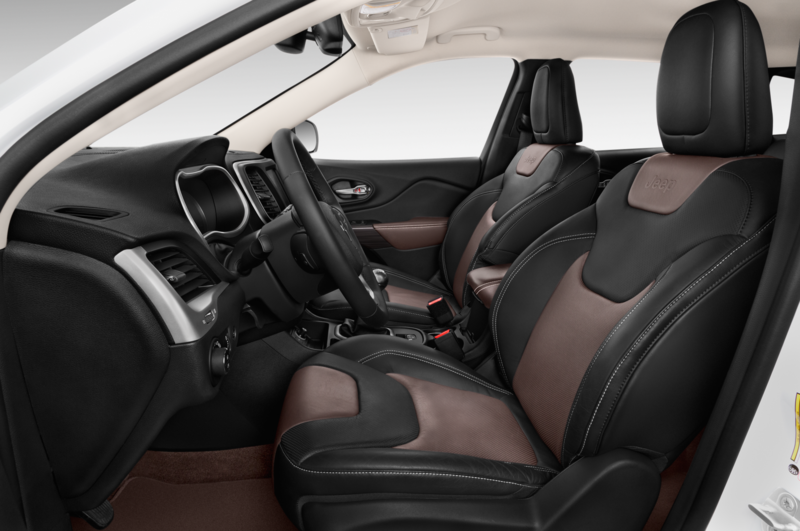 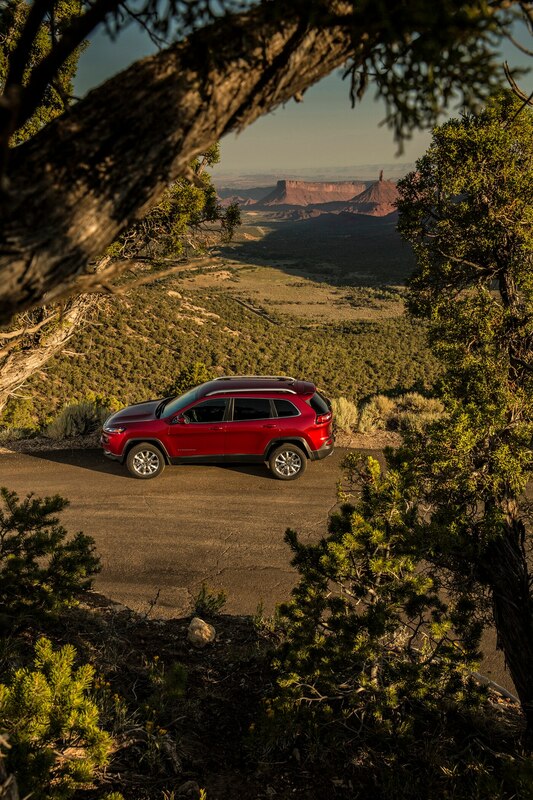 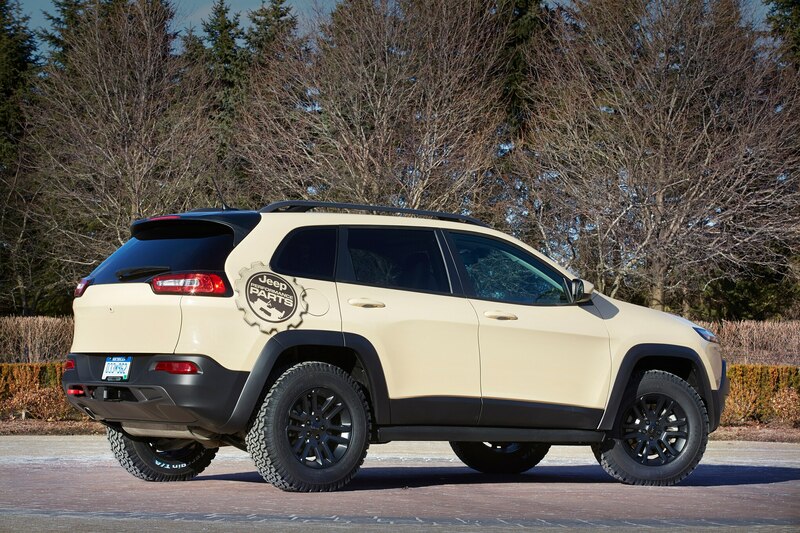 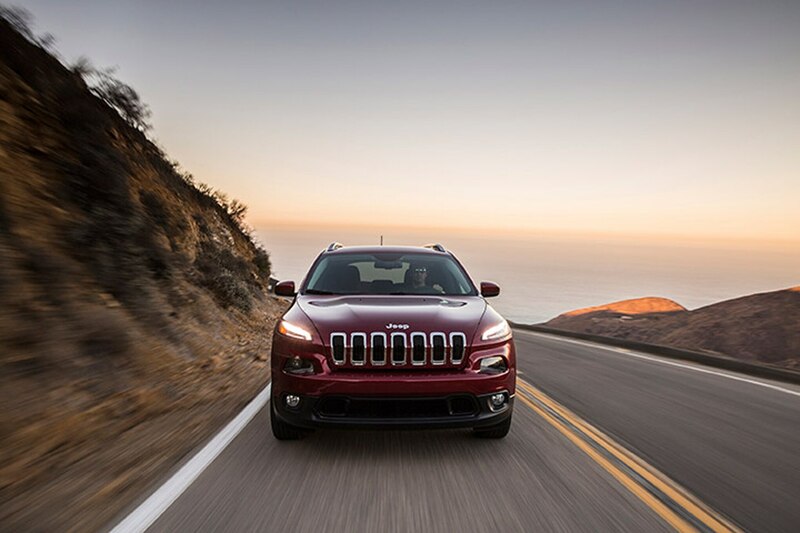 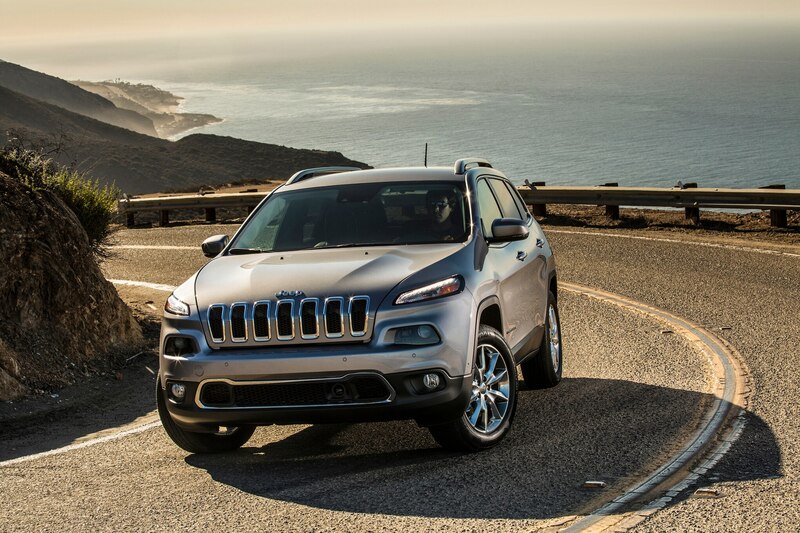 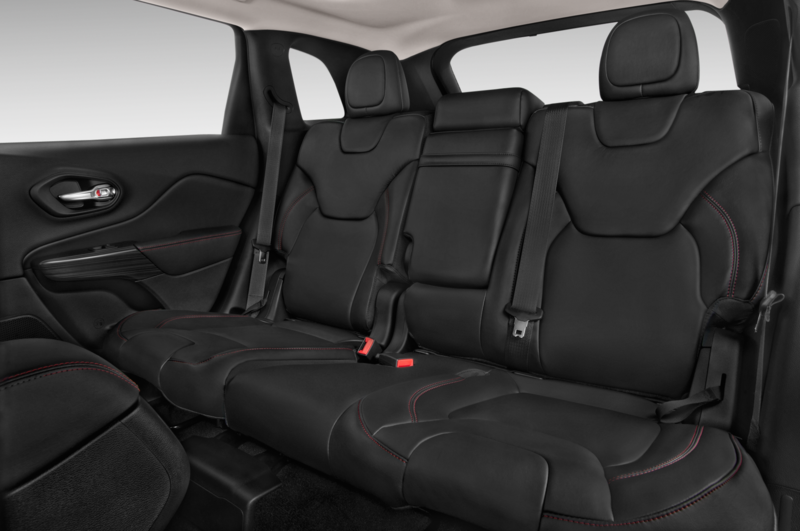 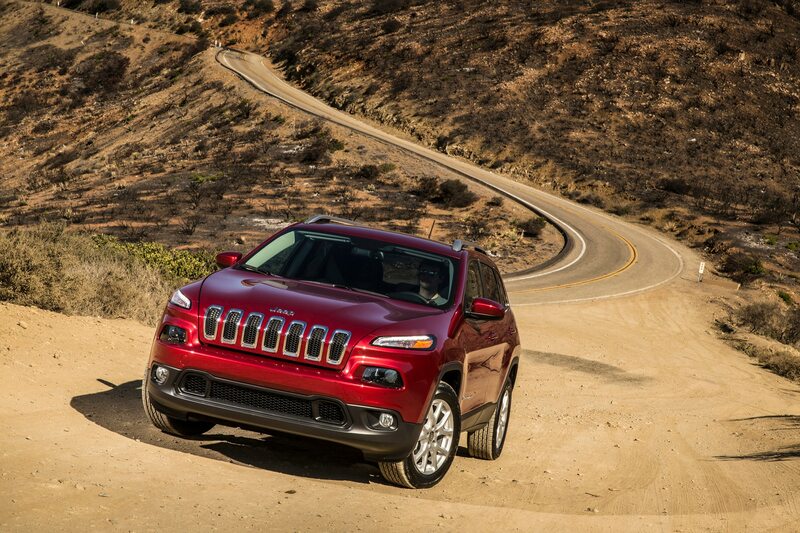 On front-wheel-drive, V-6 versions of the 2015 Jeep Cherokee, the combined mpg rating rises by 2 mpg, up to 24, while models equipped with the V-6 and either optional four-wheel-drive system go up 1 mpg in combined ratings. 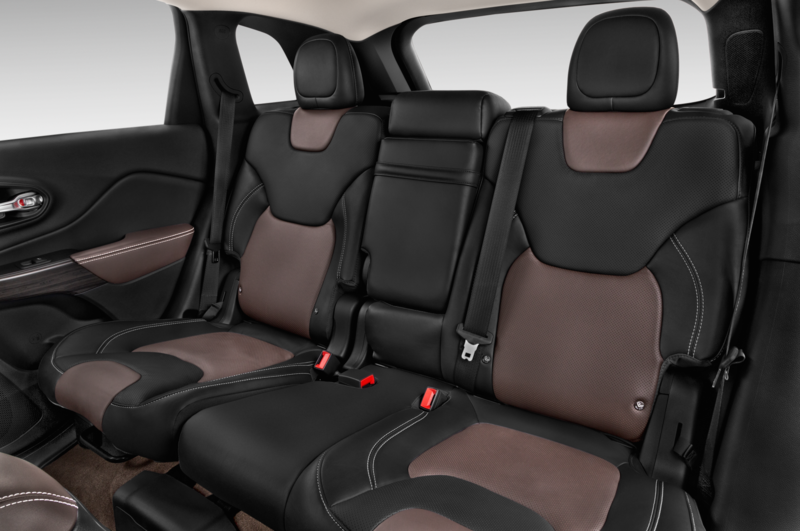 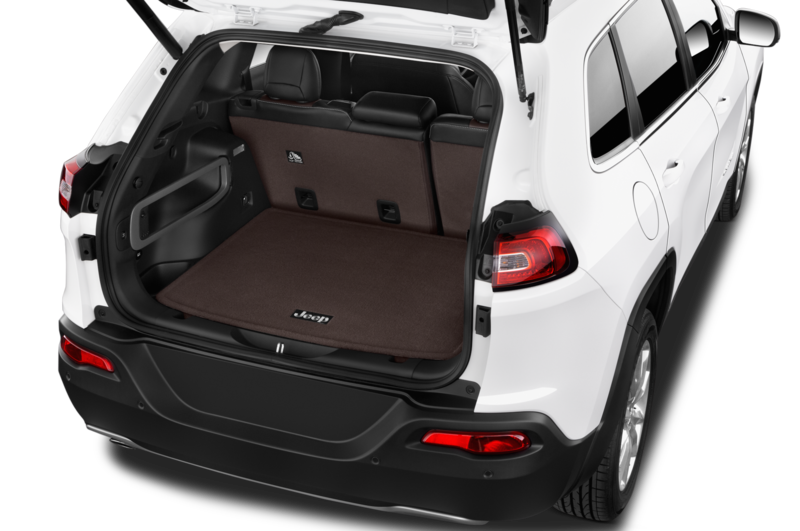 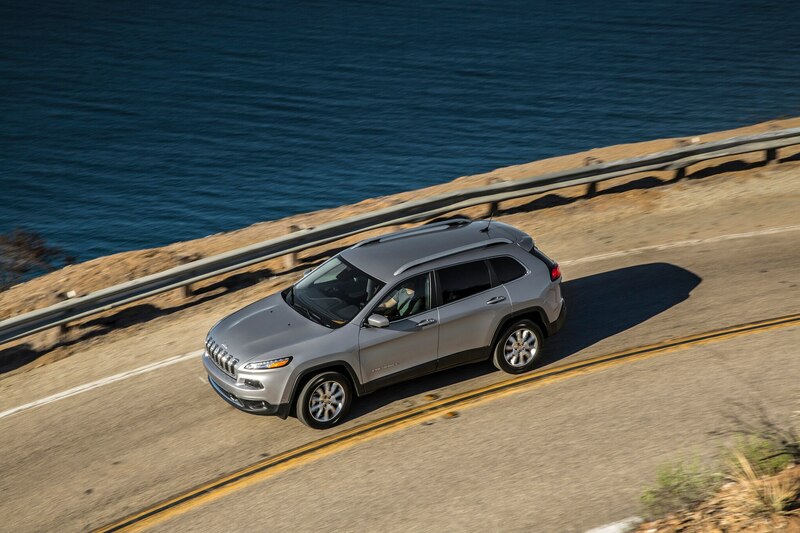 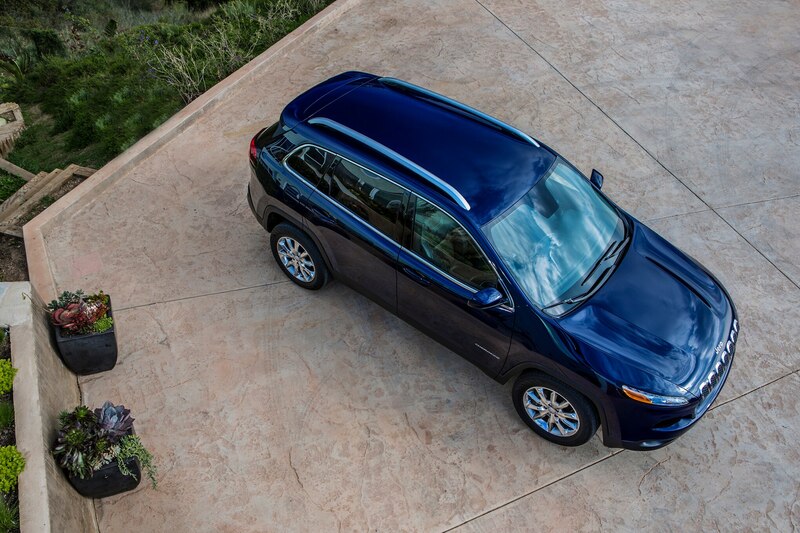 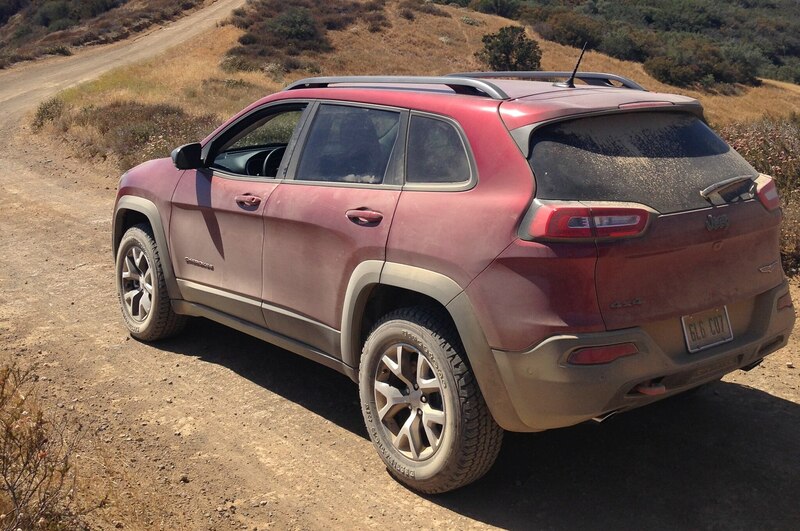 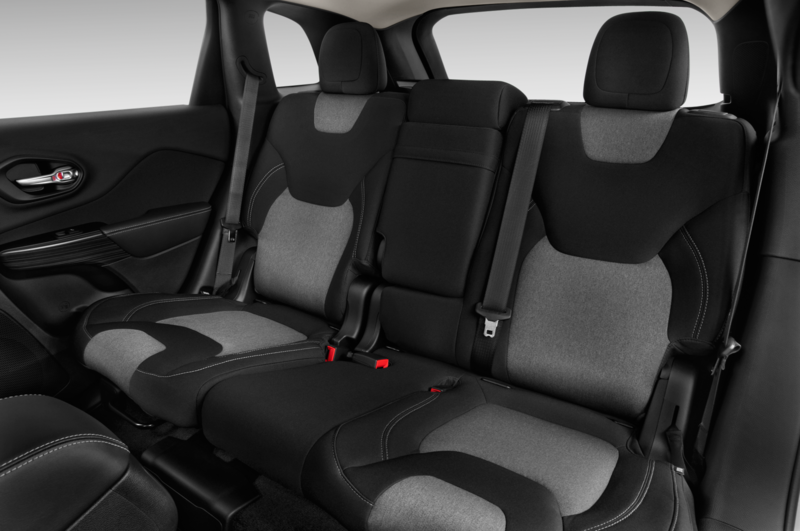 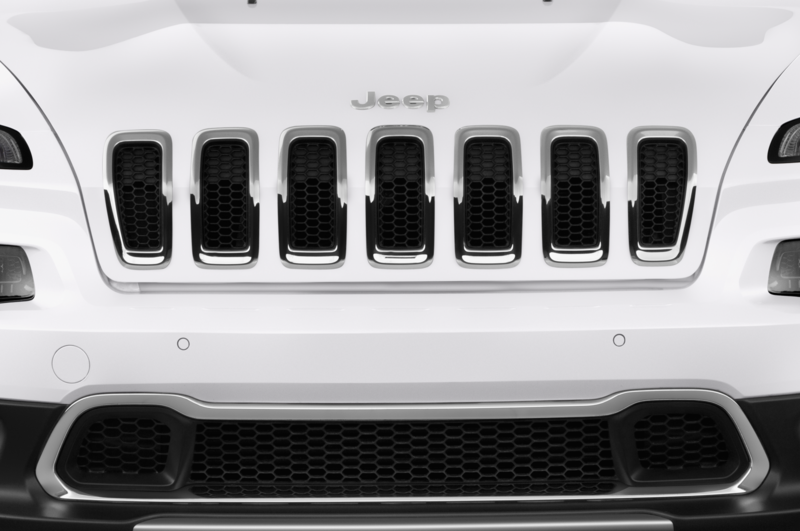 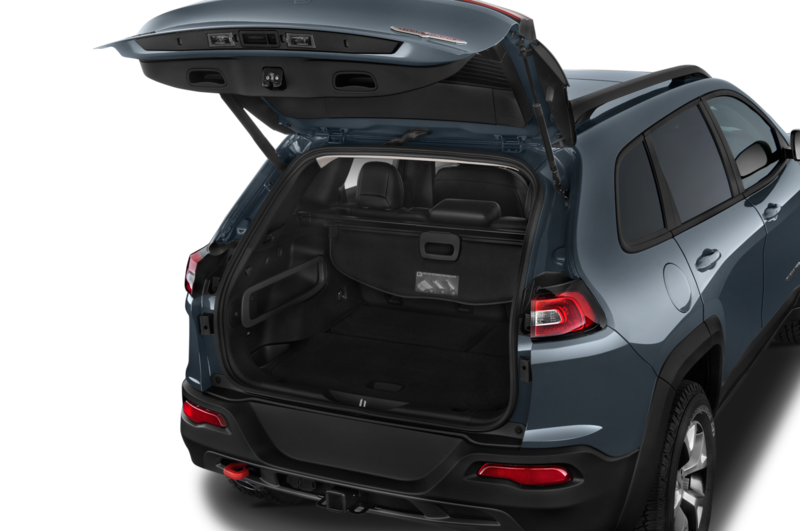 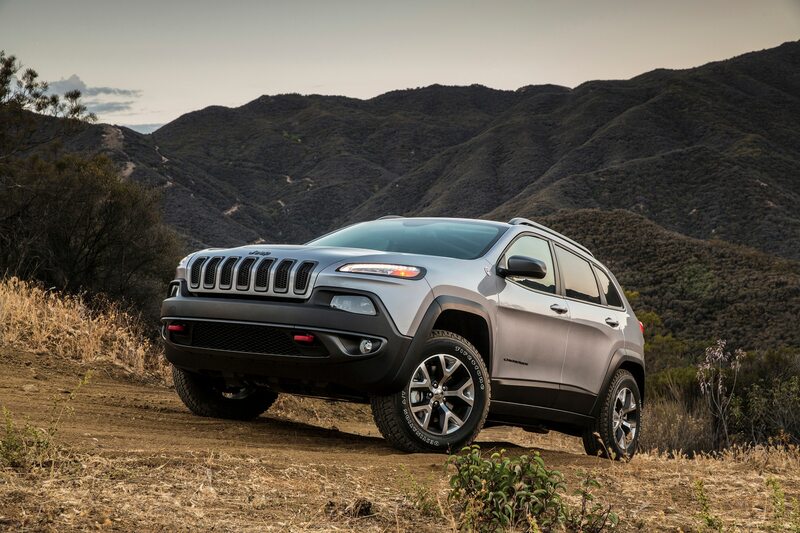 (See the chart below for full numbers on all 2015 Cherokee V-6 models). 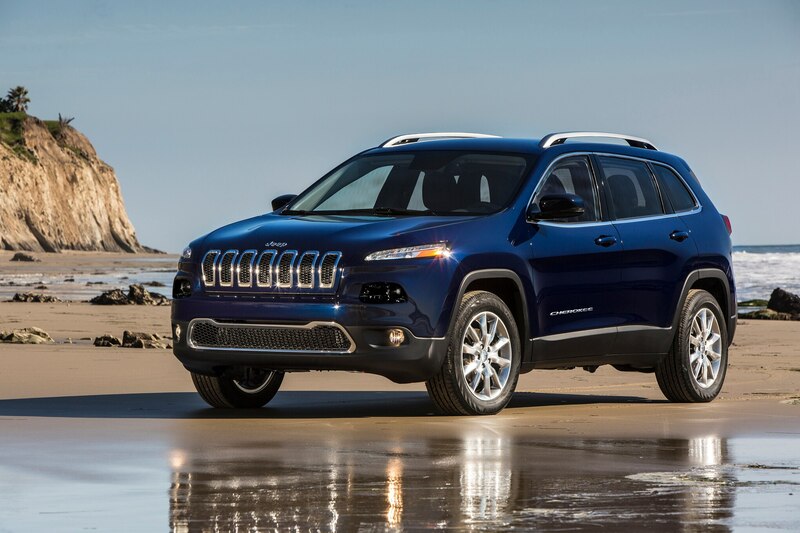 All four-cylinder models retain the same EPA mileage ratings as last year. 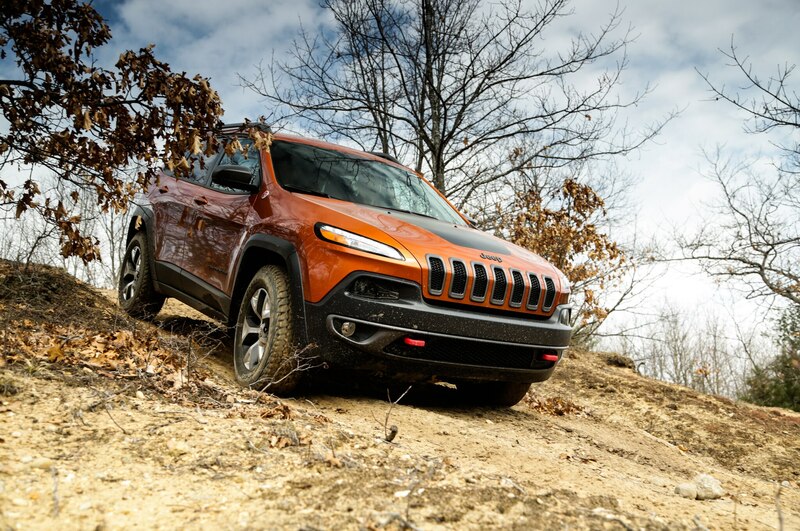 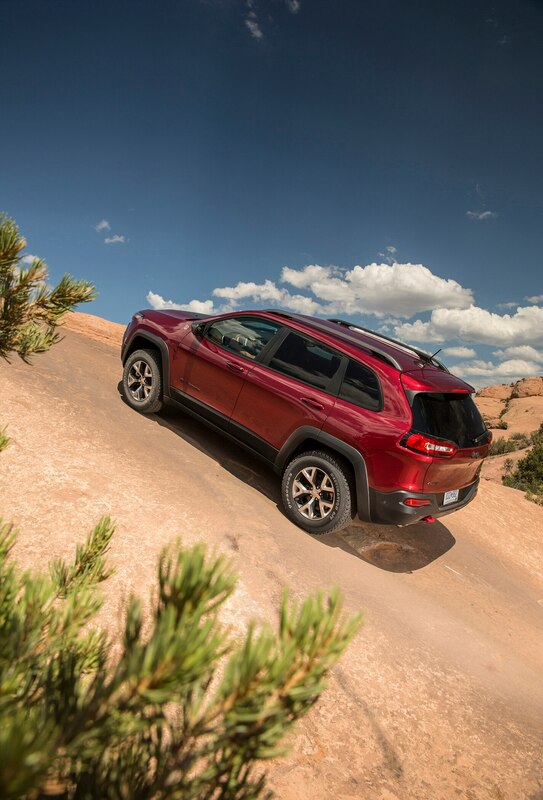 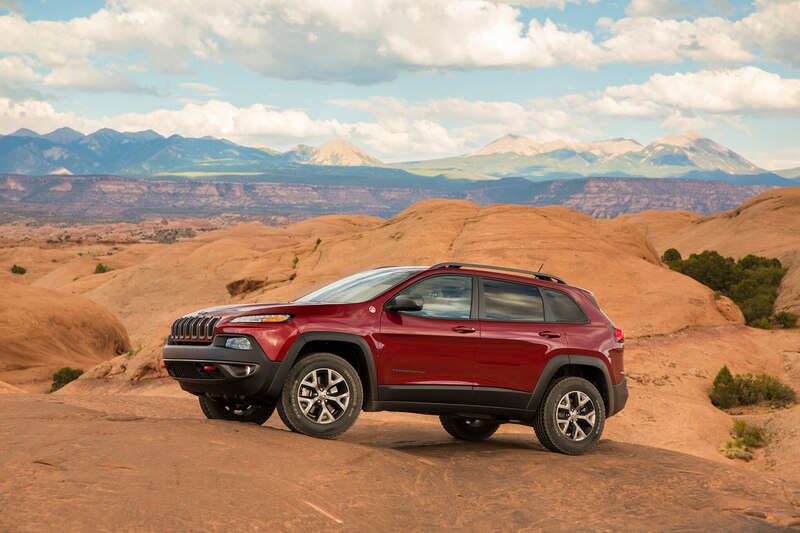 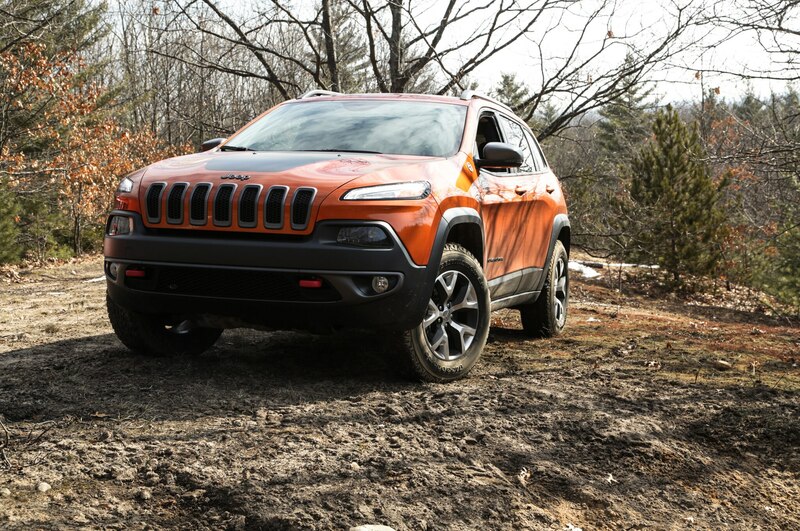 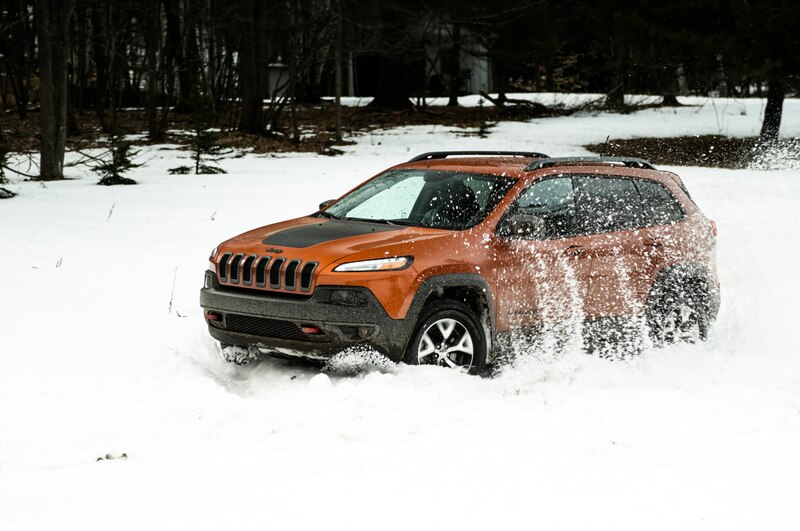 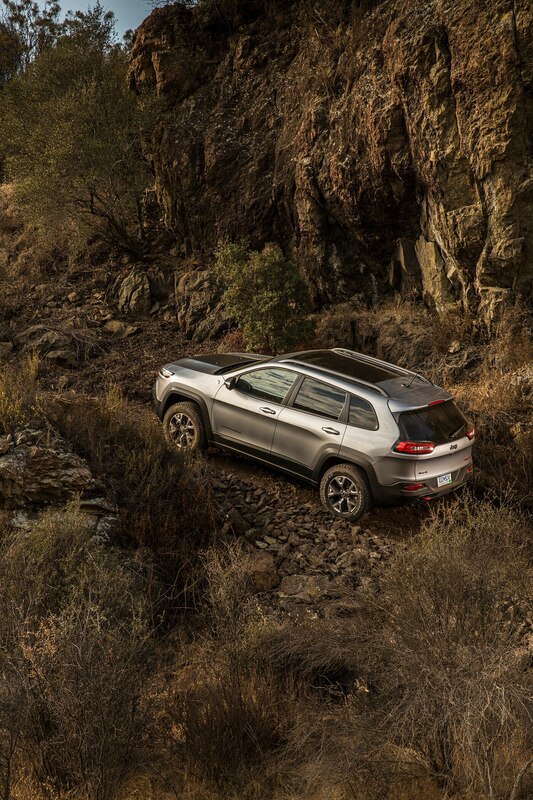 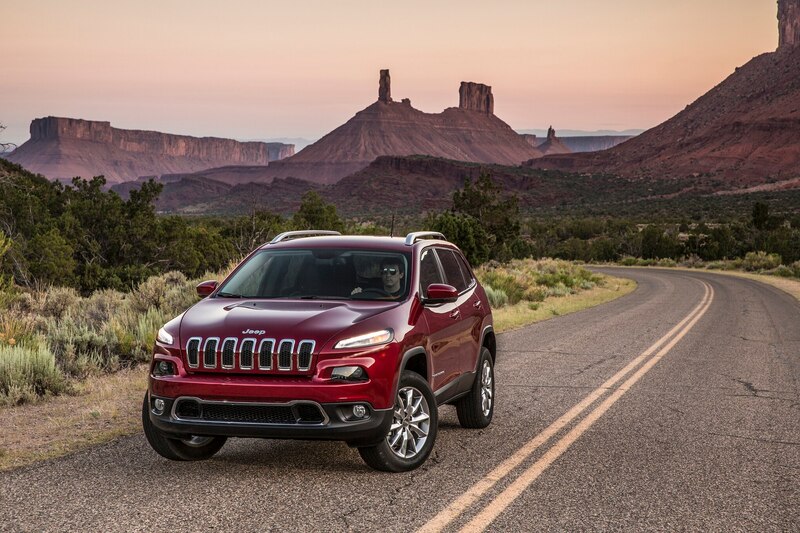 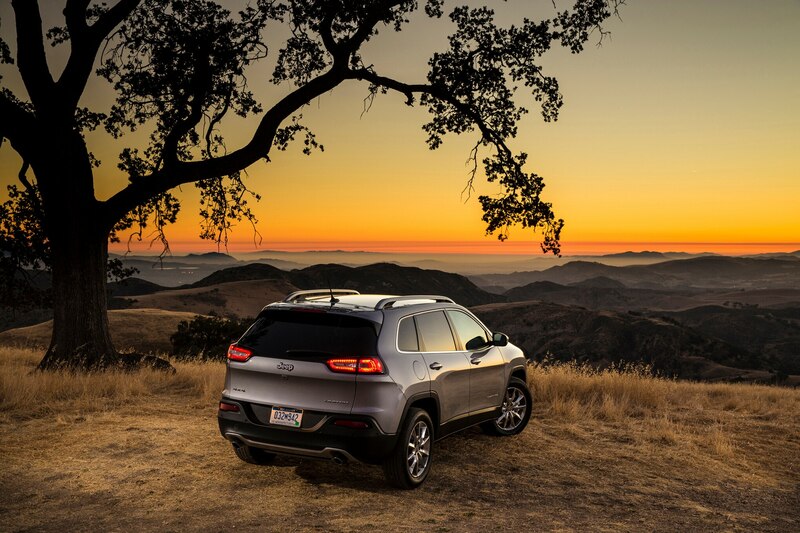 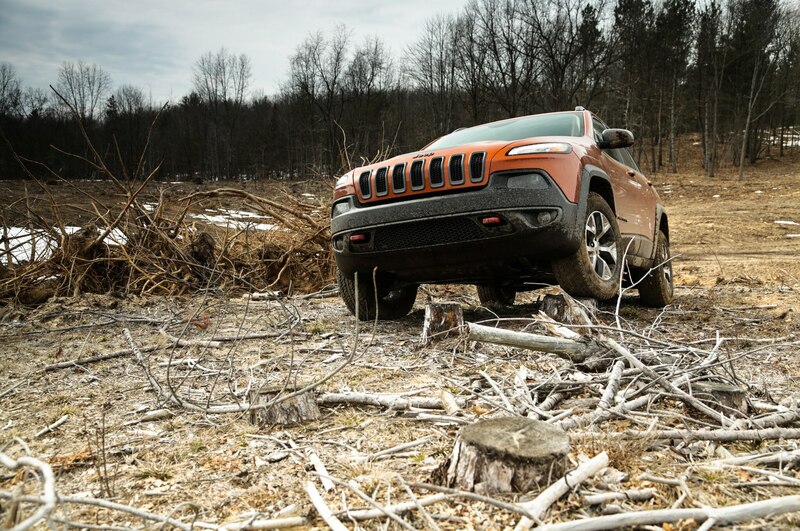 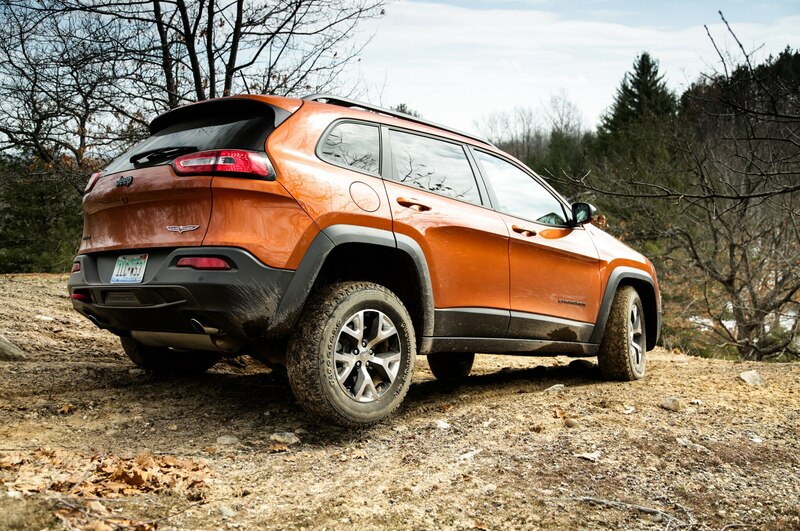 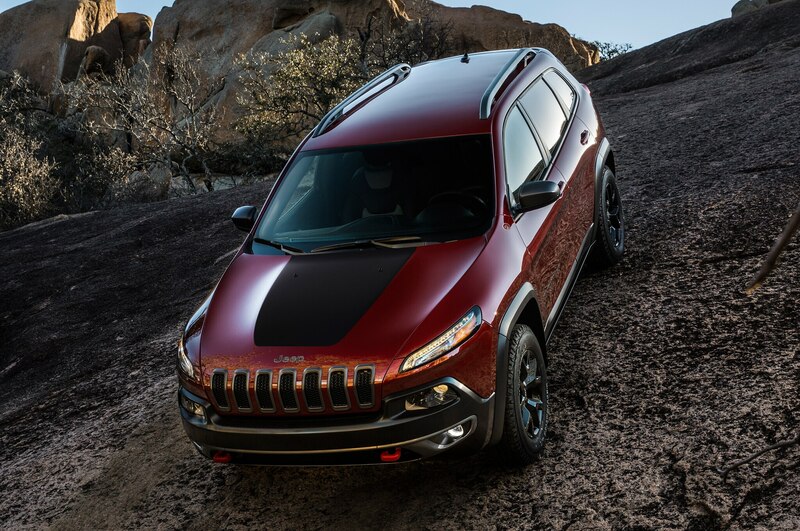 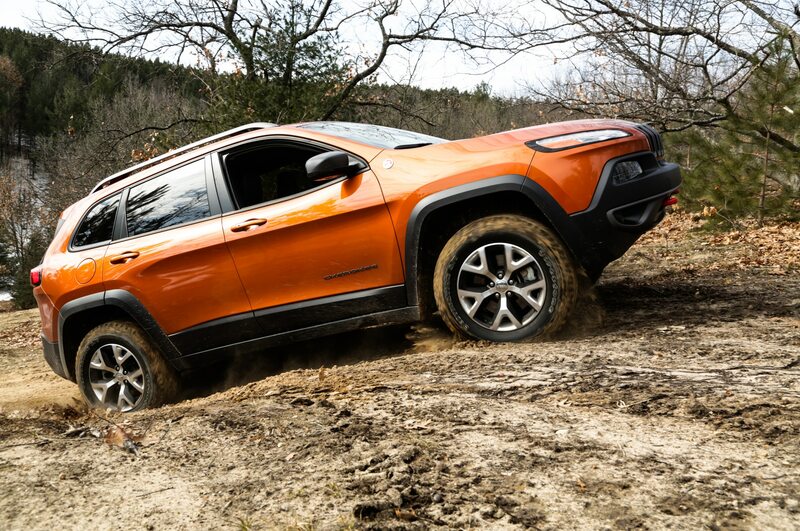 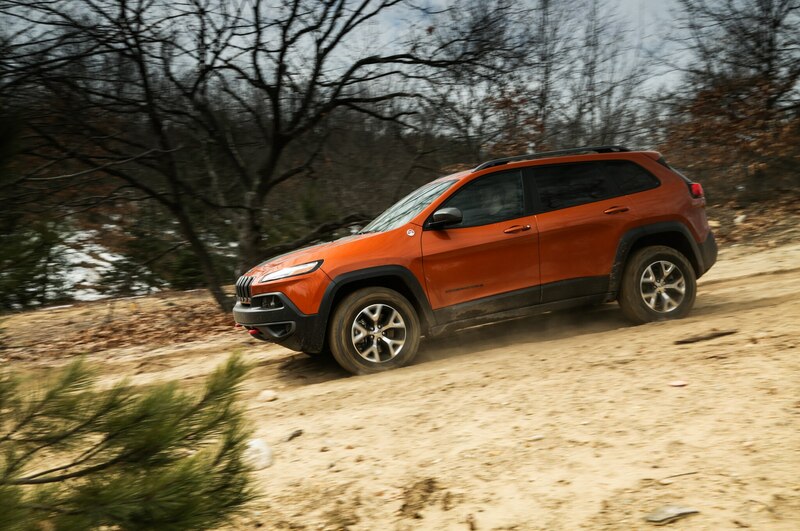 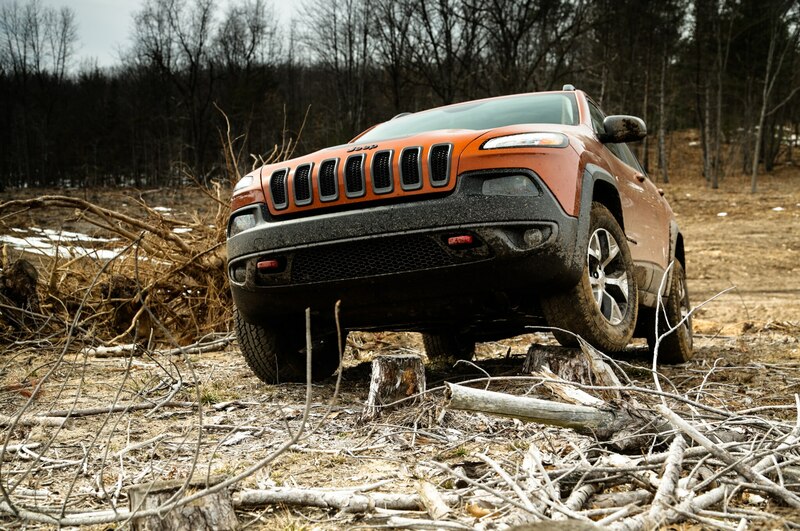 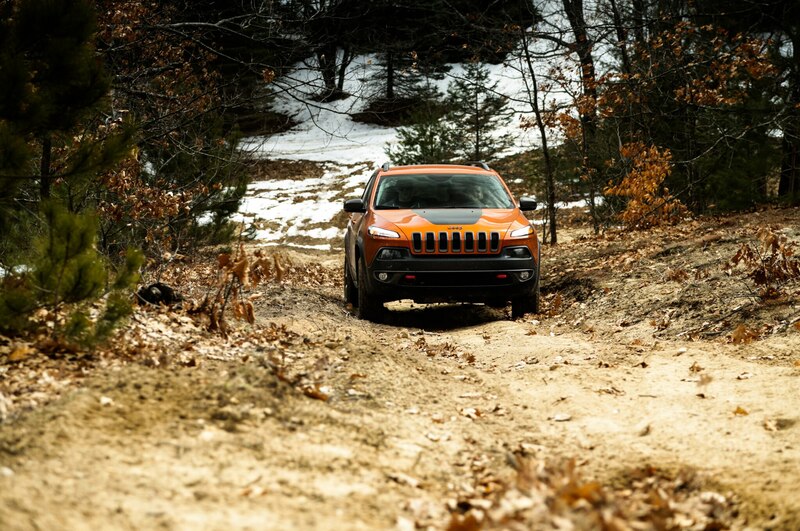 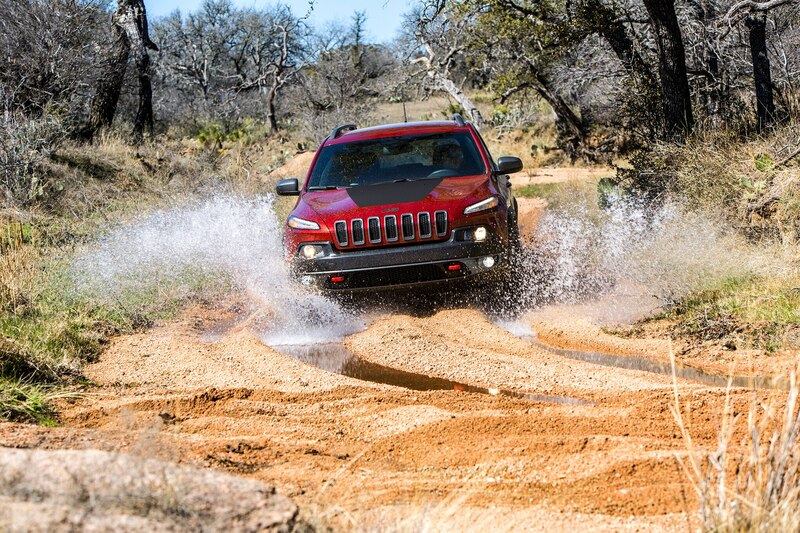 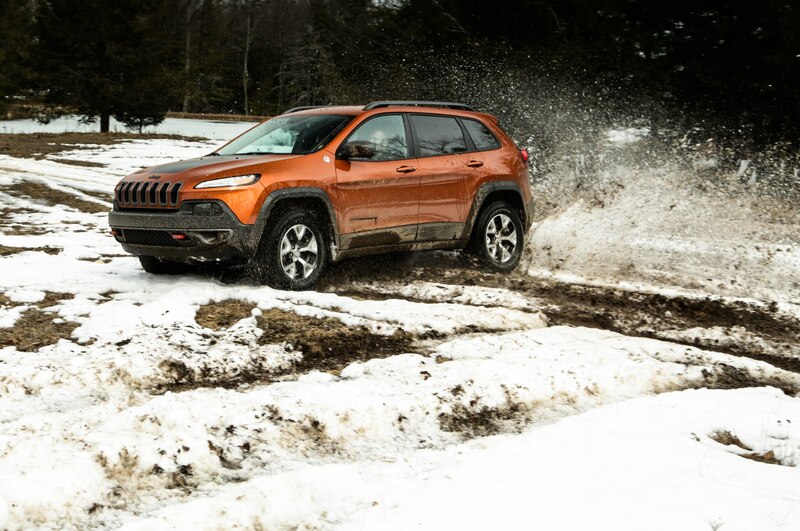 This improvement puts V-6 versions of the Cherokee remarkably close to the less powerful 2.4-liter four-cylinder engine in terms of combined mileage. 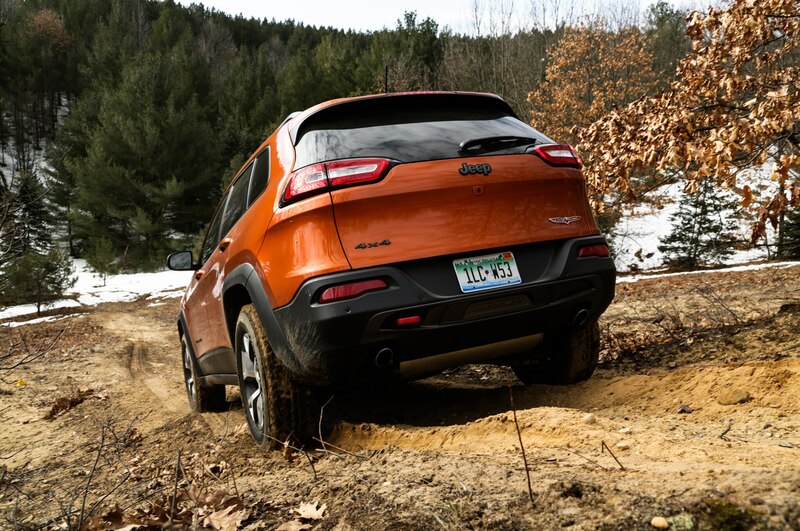 When comparing front-wheel-drive models, the larger, 3.2-liter V-6 now gives up only 1 mpg combined to the front-wheel-drive, four-cylinder model’s 25 mpg combined rating. 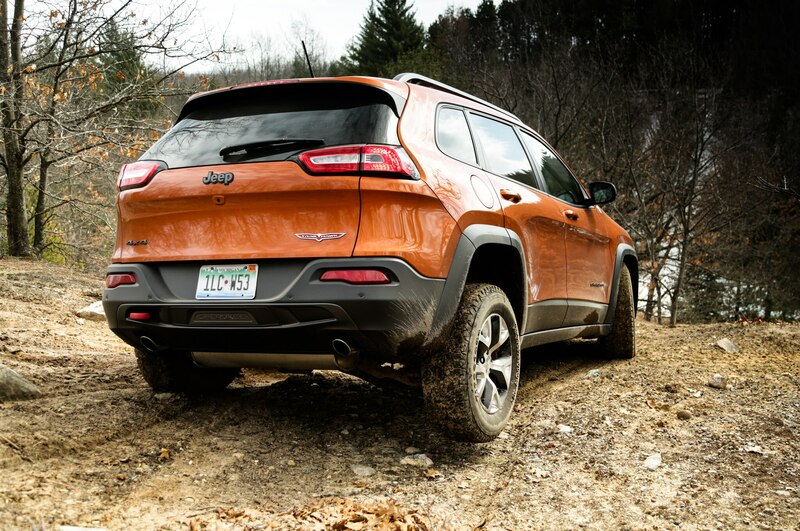 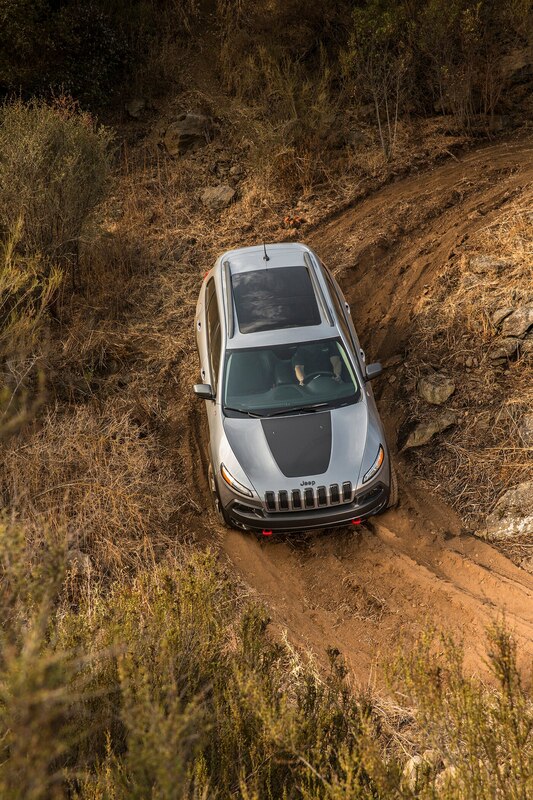 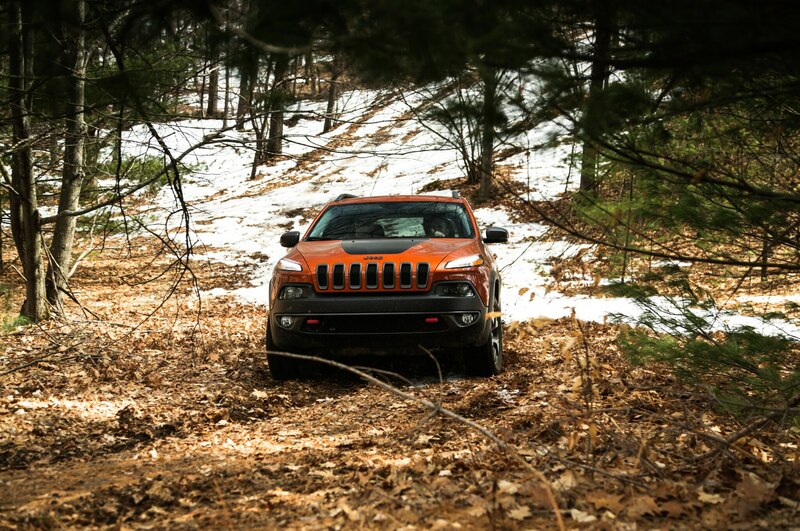 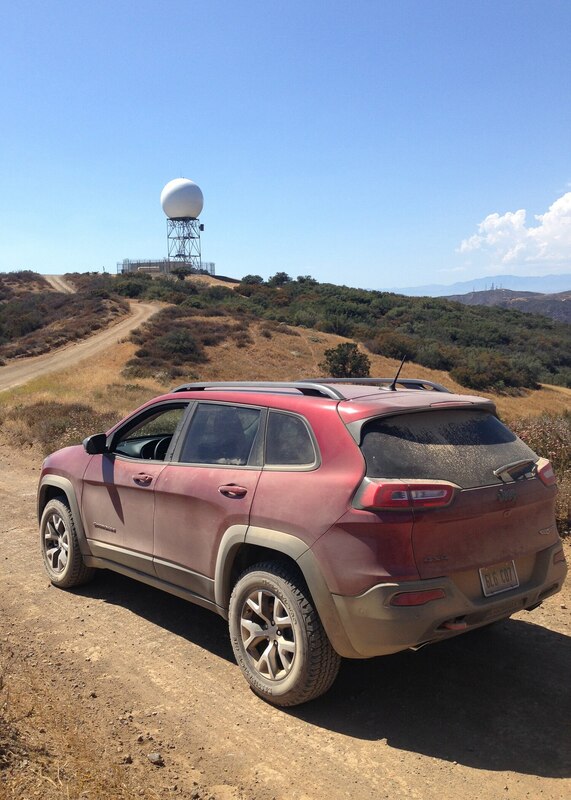 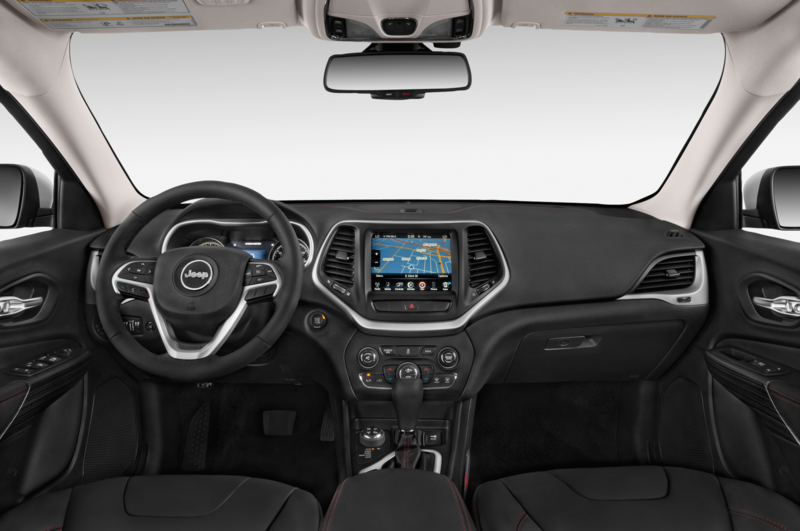 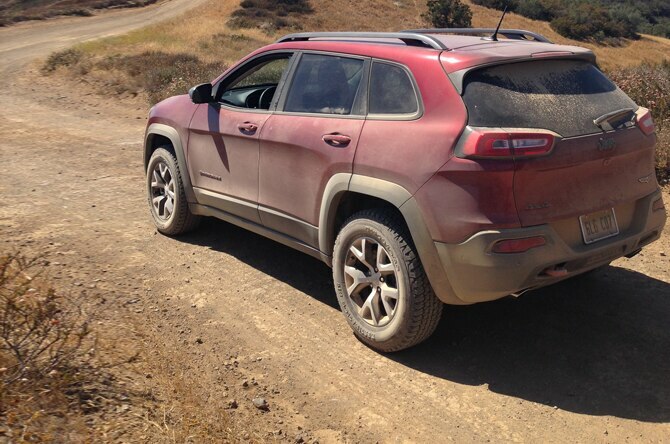 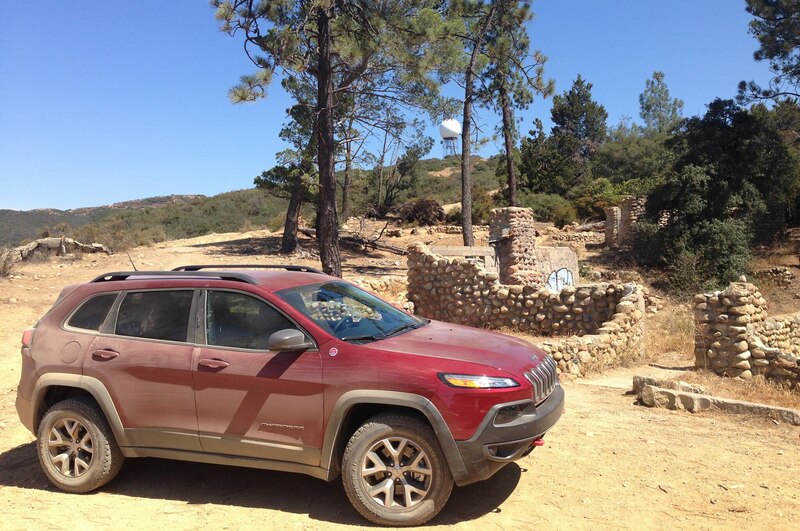 Yes, the 272-hp V-6 is a $1695 option, but seems well worth it given our experience with the less refined, pokey four-cylinder that comes standard on all Cherokee trim levels ranging from the base Sport all the way up to the off-road-oriented Trailhawk. 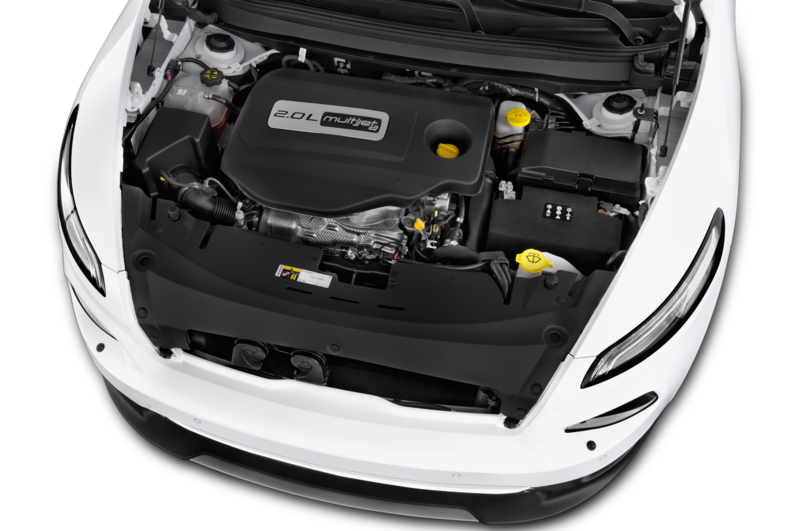 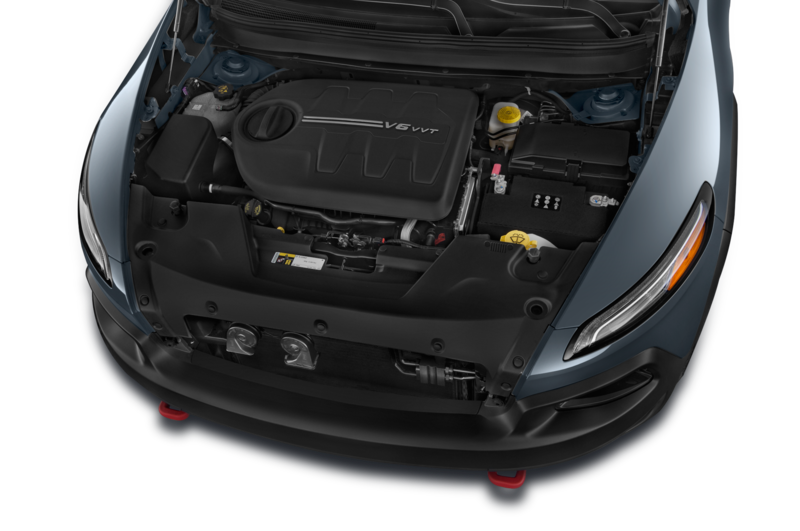 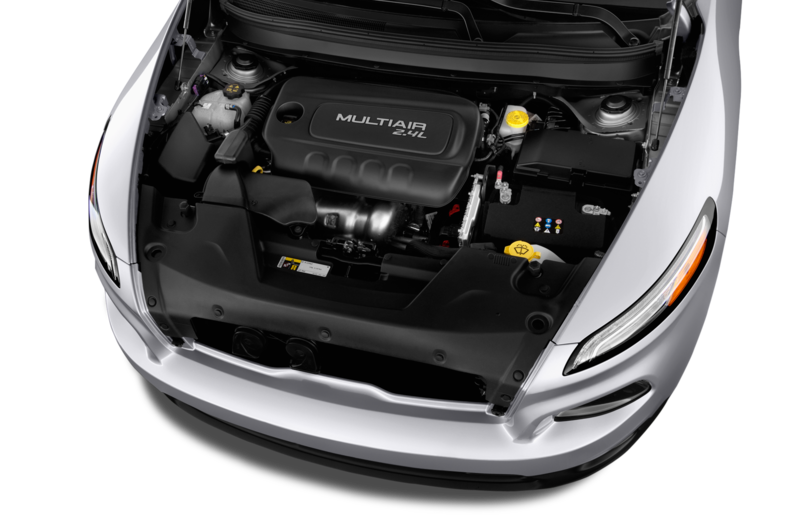 Chrysler’s engine start-stop system, which will also find its way onto four-cylinder versions of the 2015 Chrysler 200 midsize sedan, operates by shutting off the engine as the car comes to a stop. 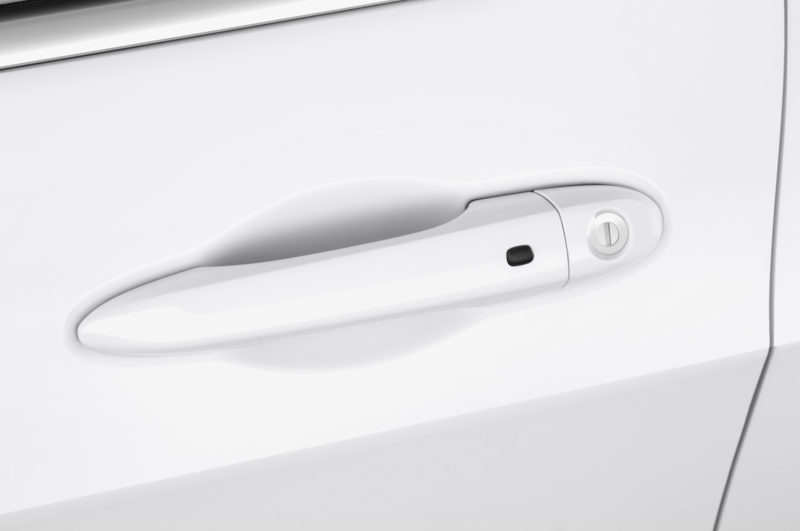 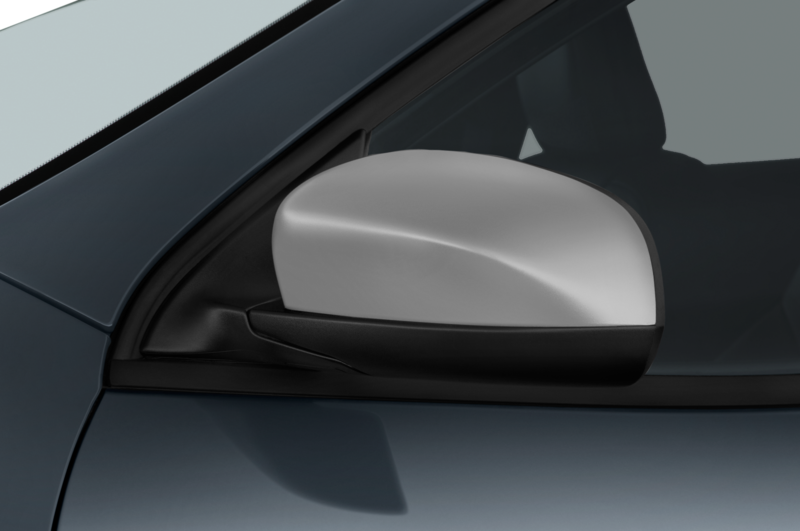 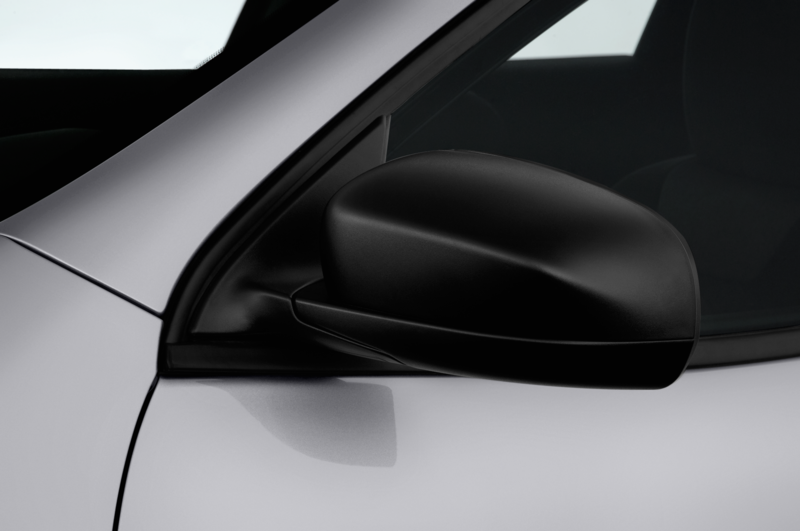 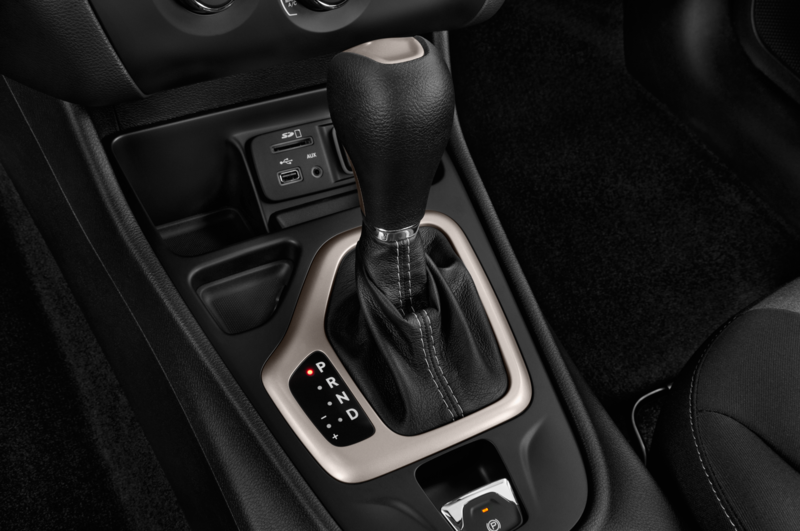 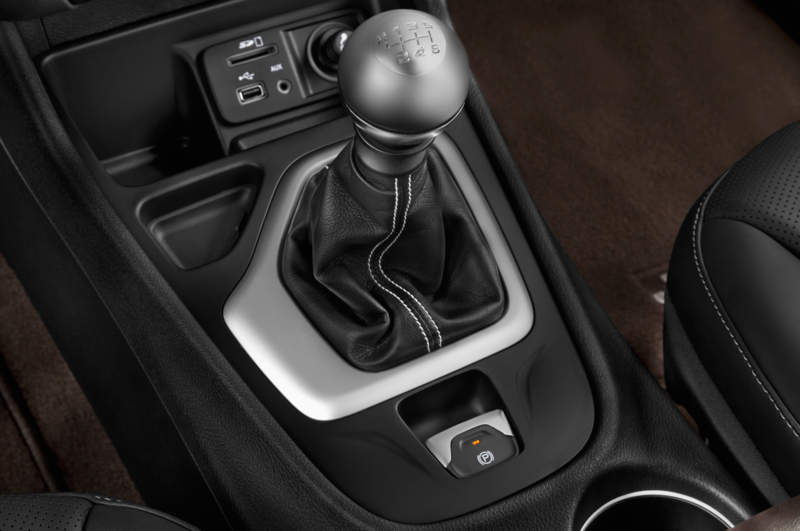 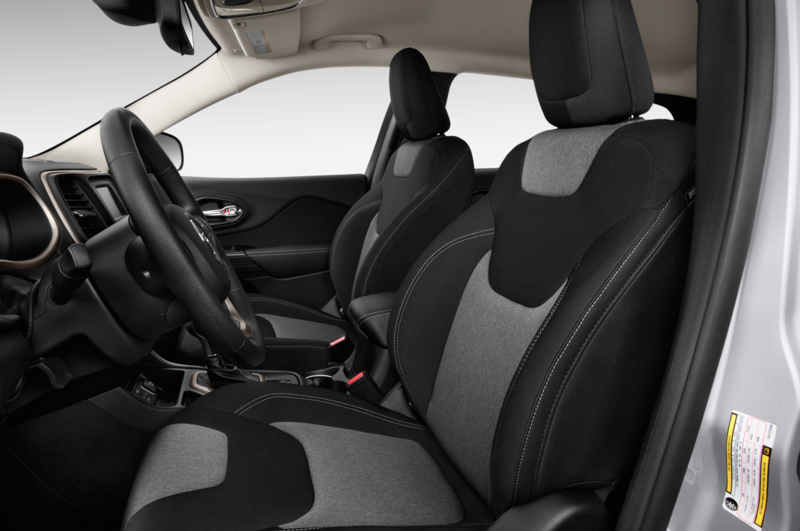 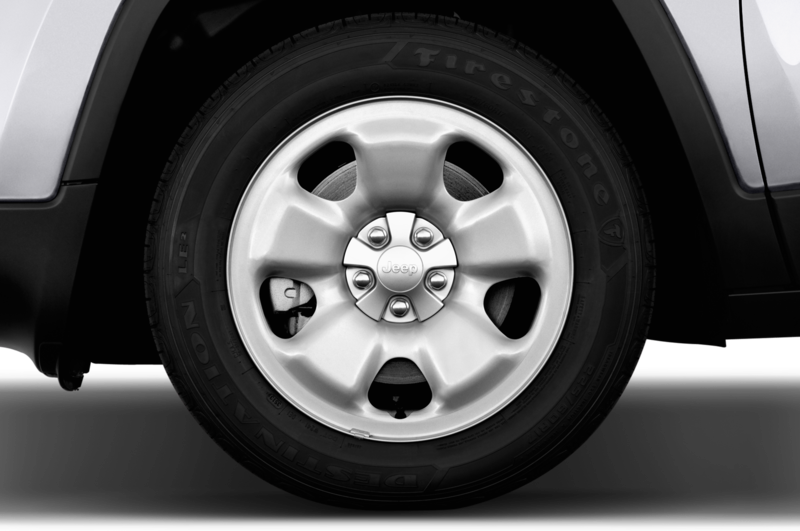 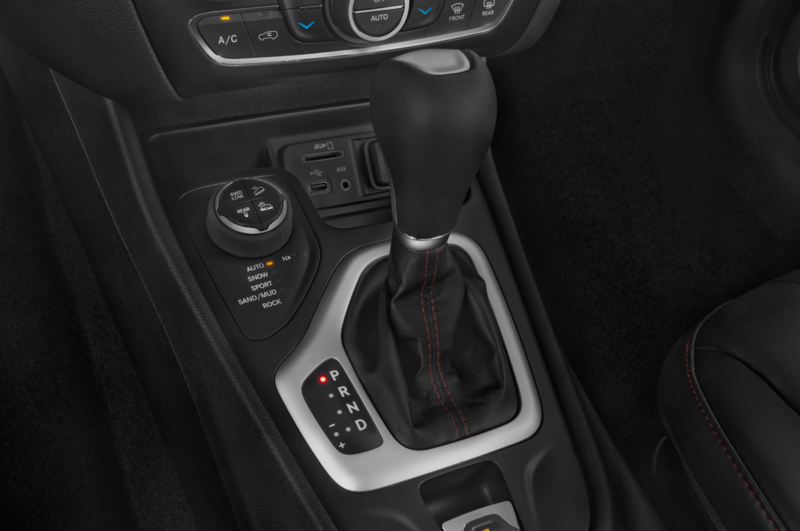 Once the driver releases his or her foot from the brake pedal, the engine restarts within 0.3 seconds. 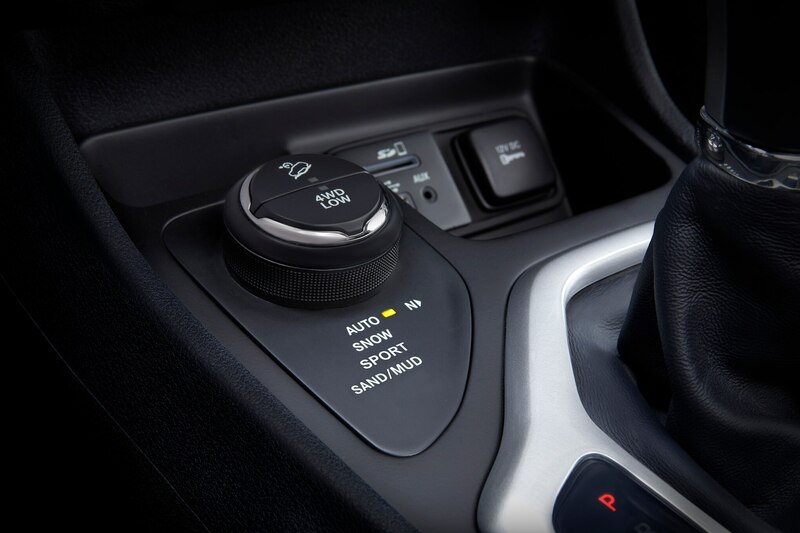 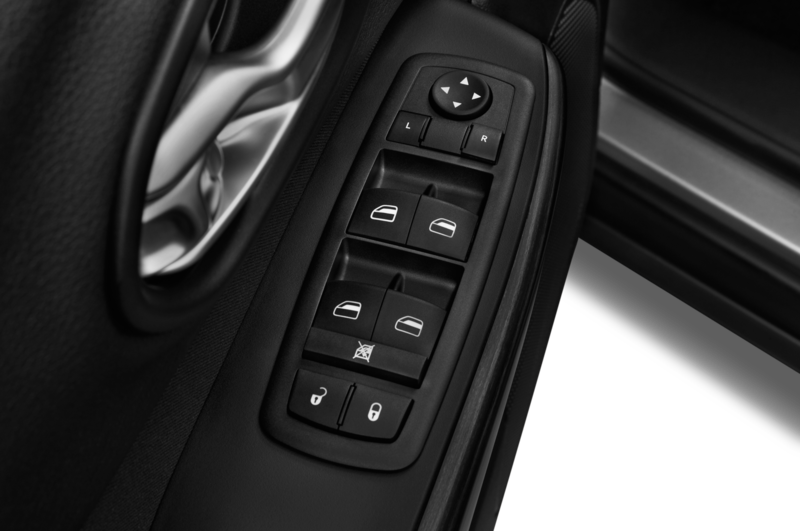 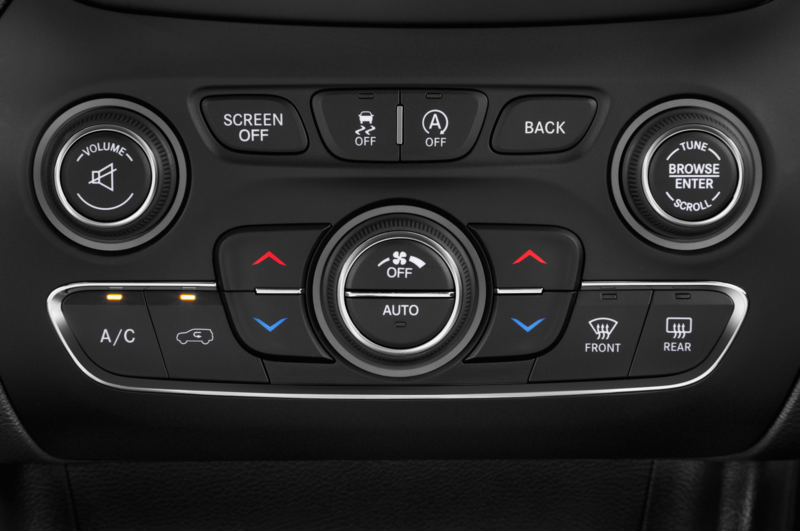 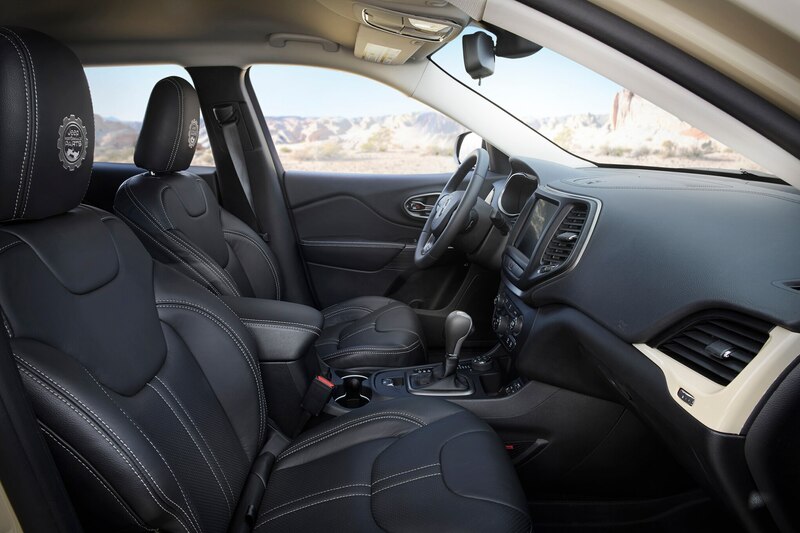 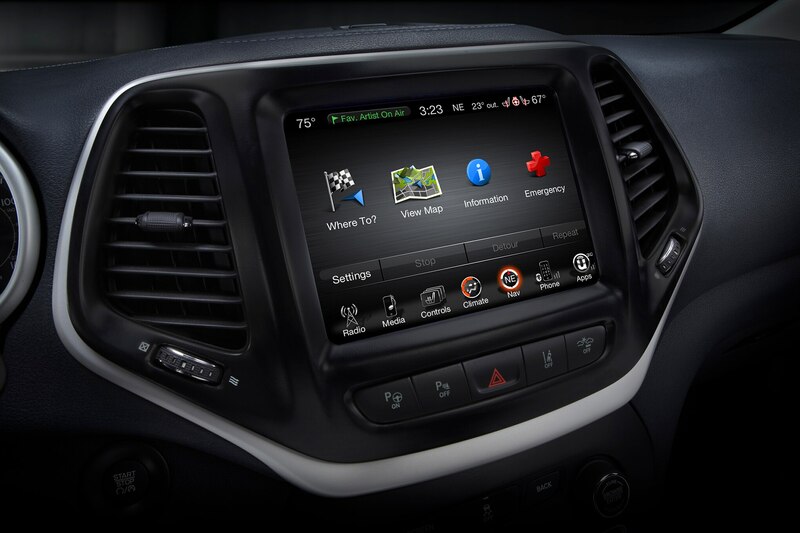 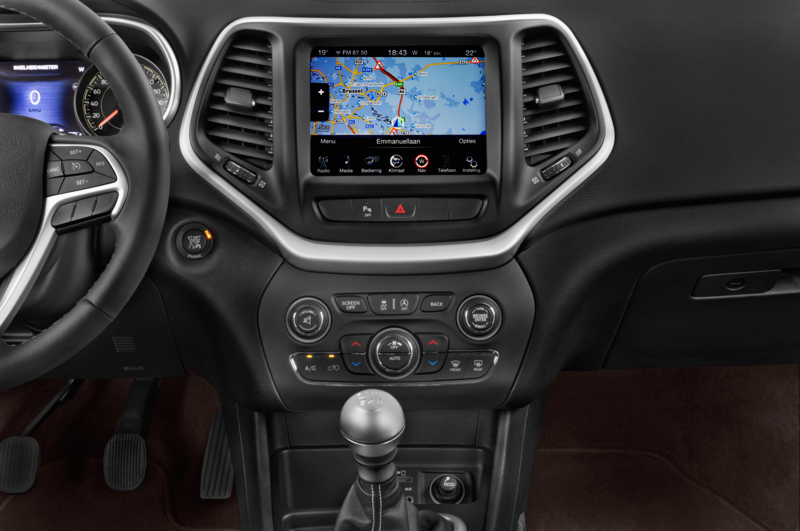 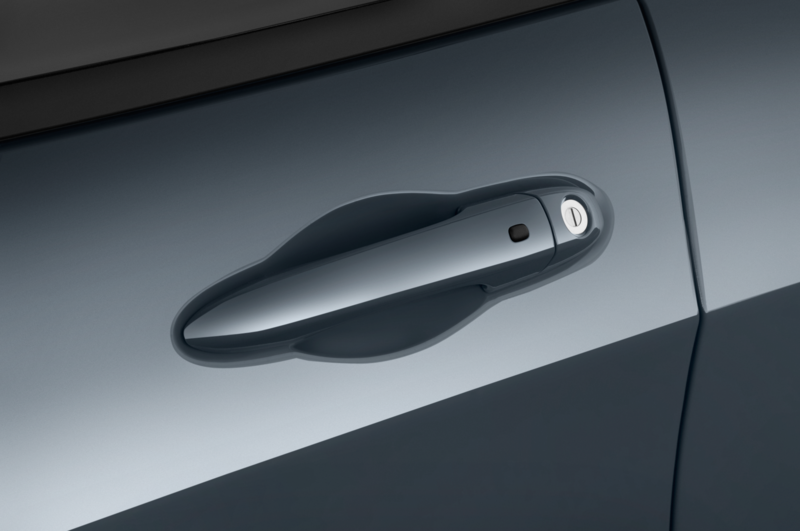 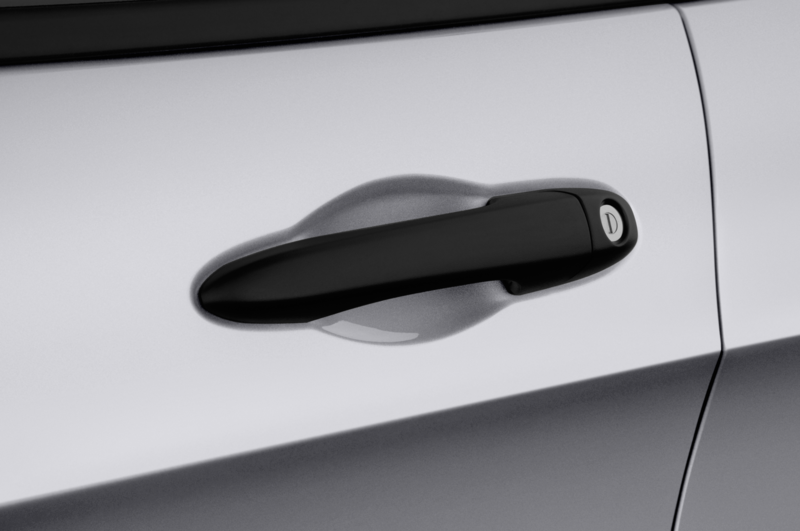 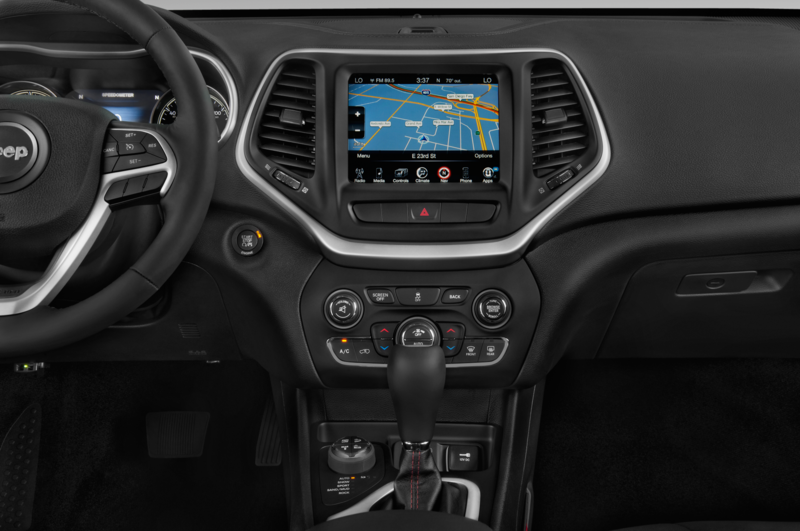 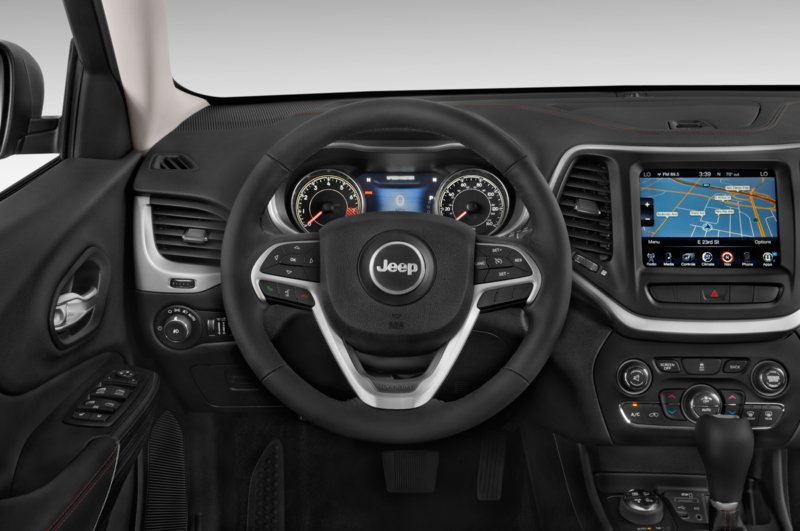 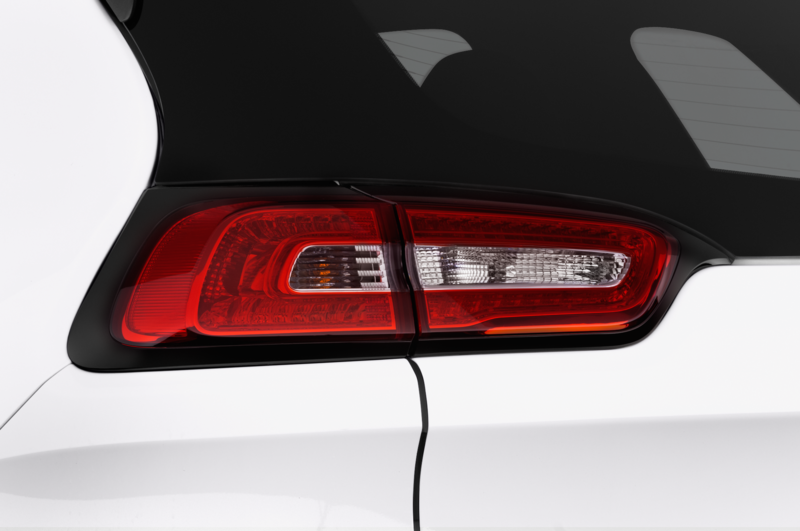 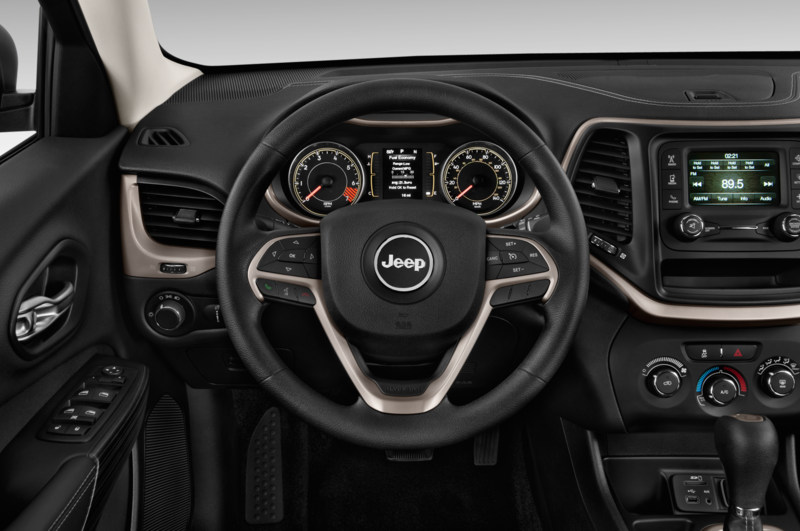 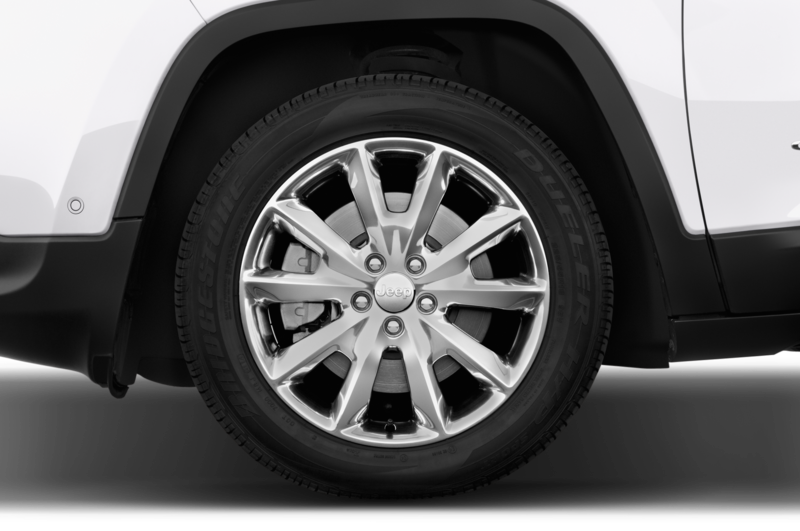 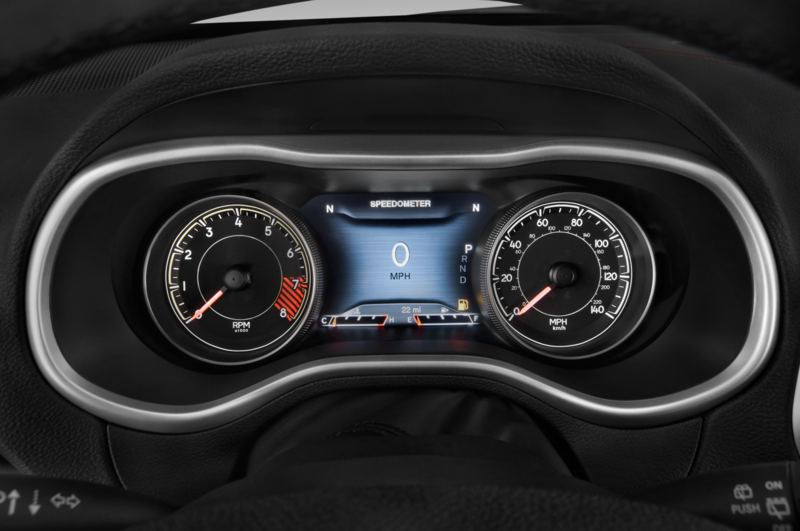 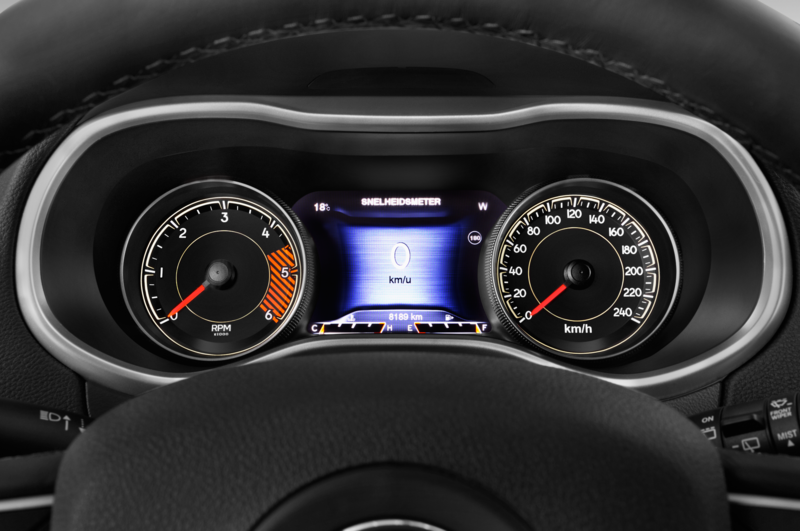 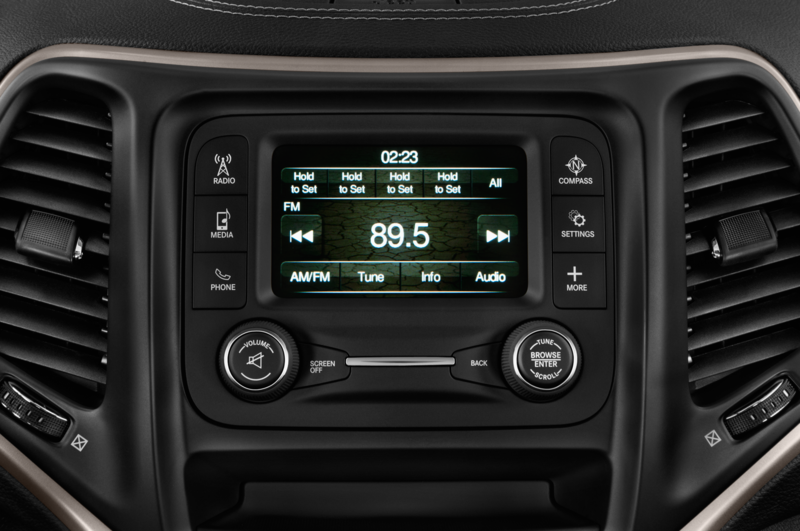 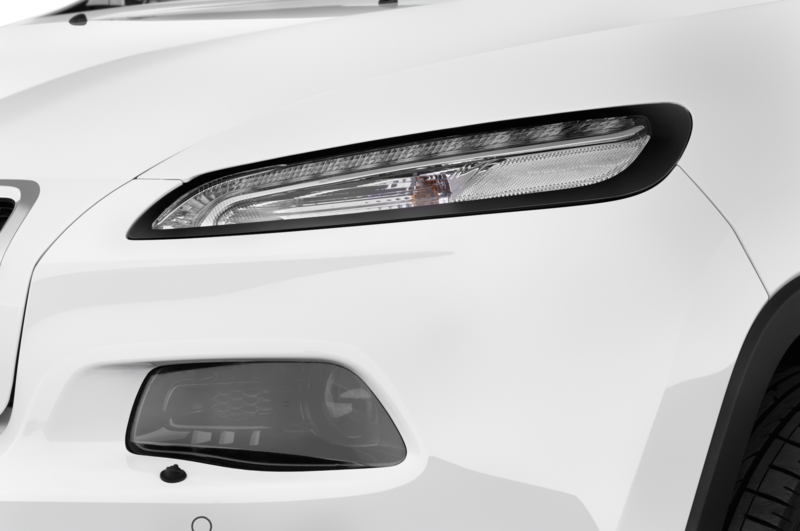 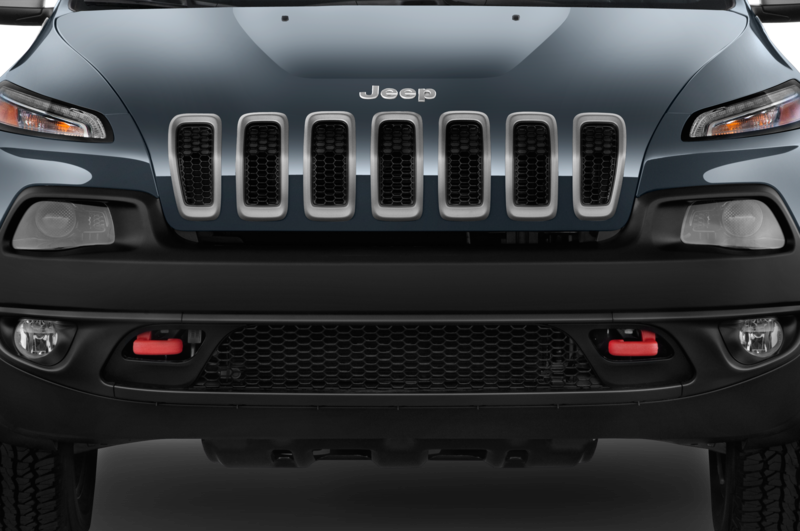 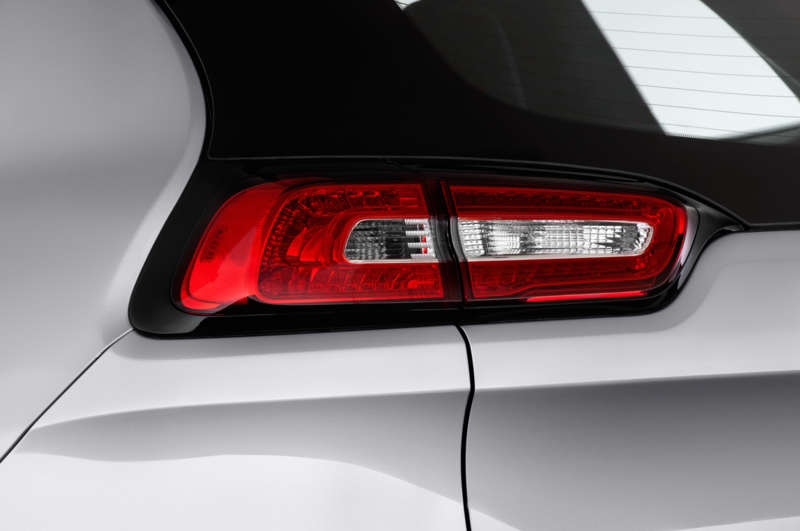 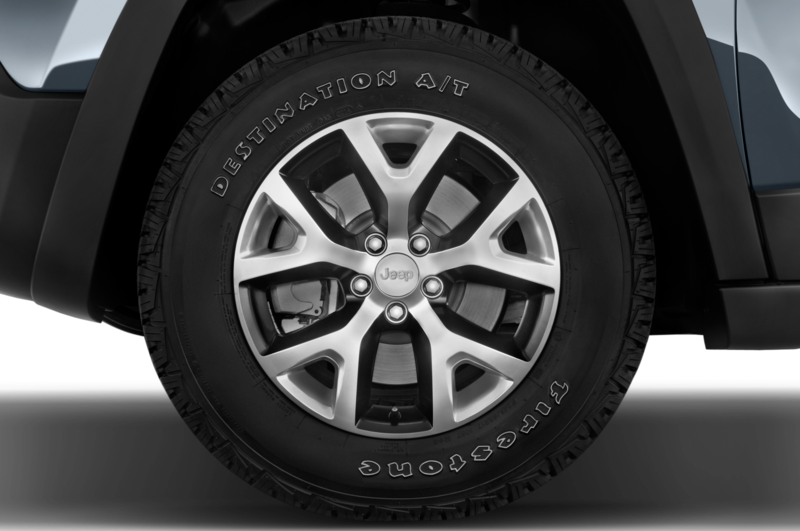 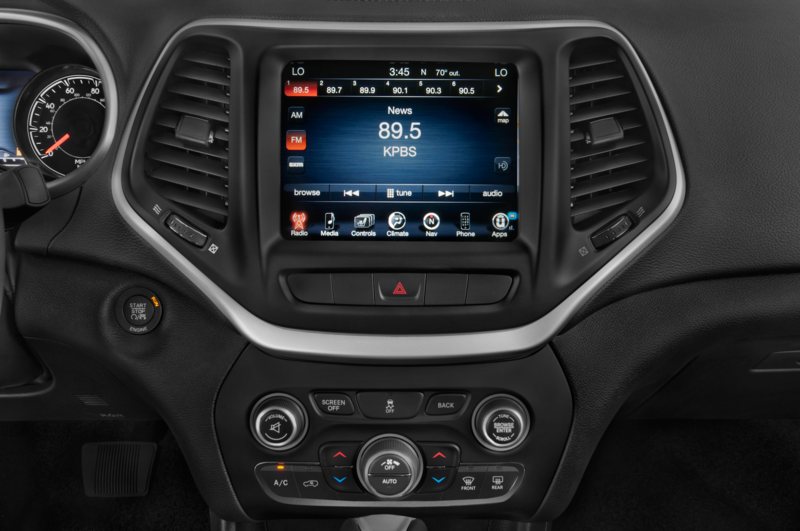 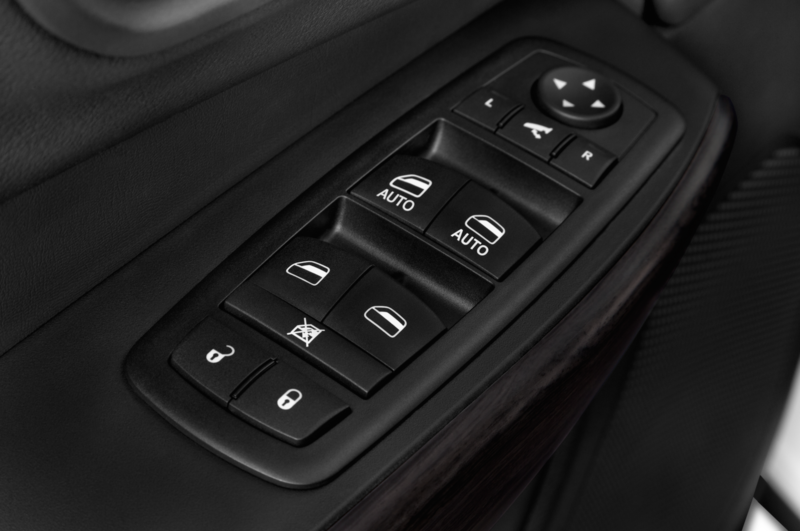 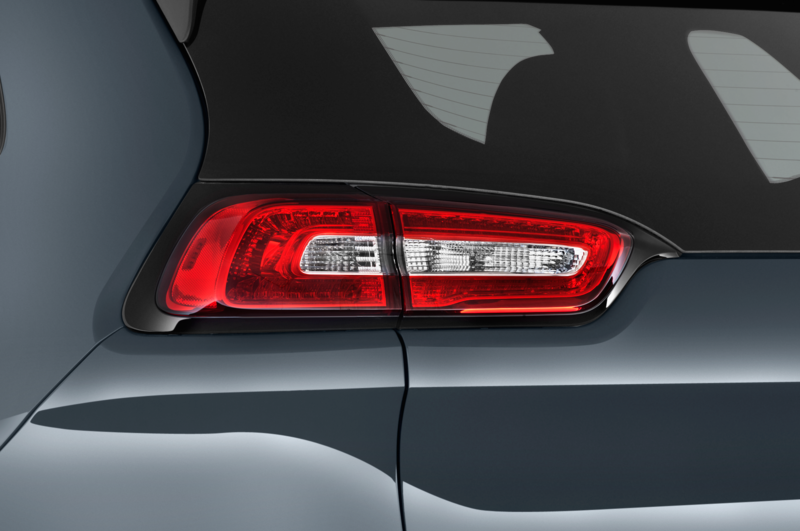 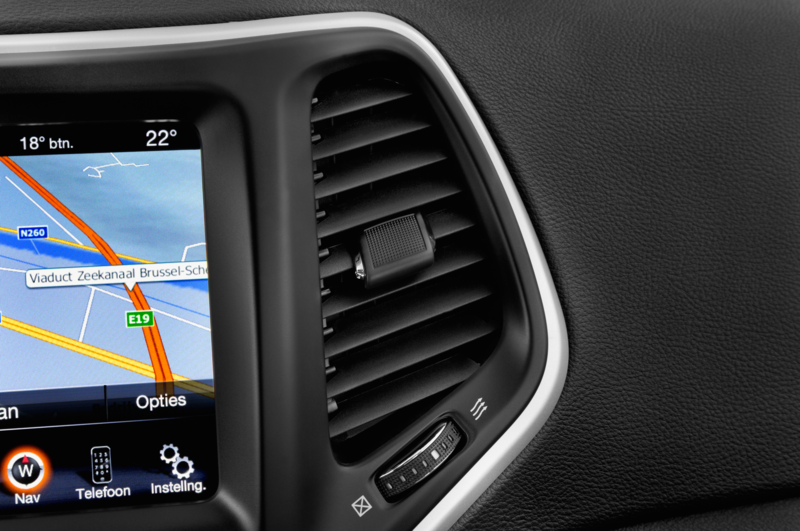 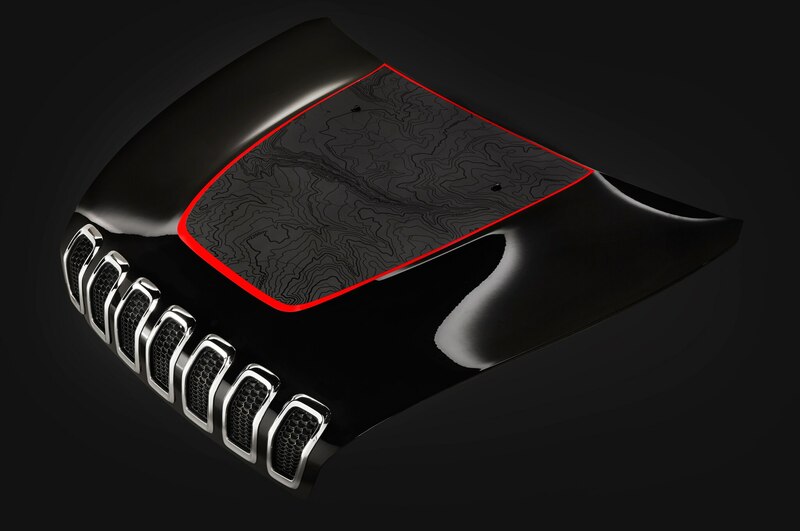 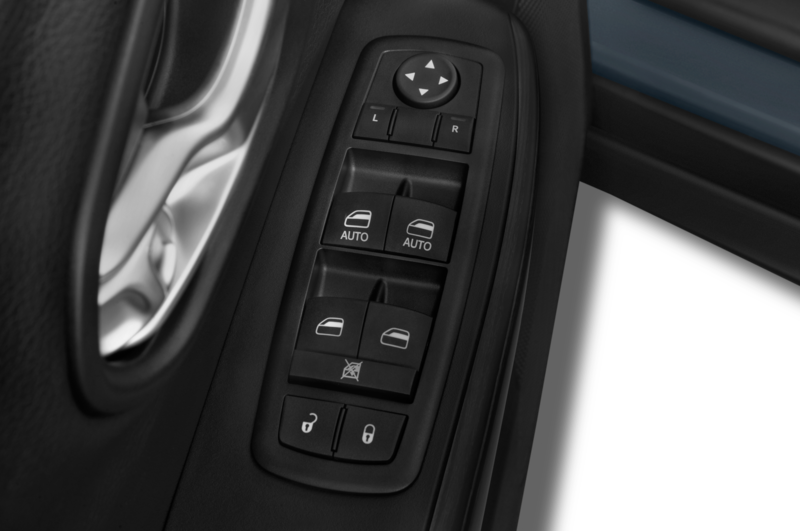 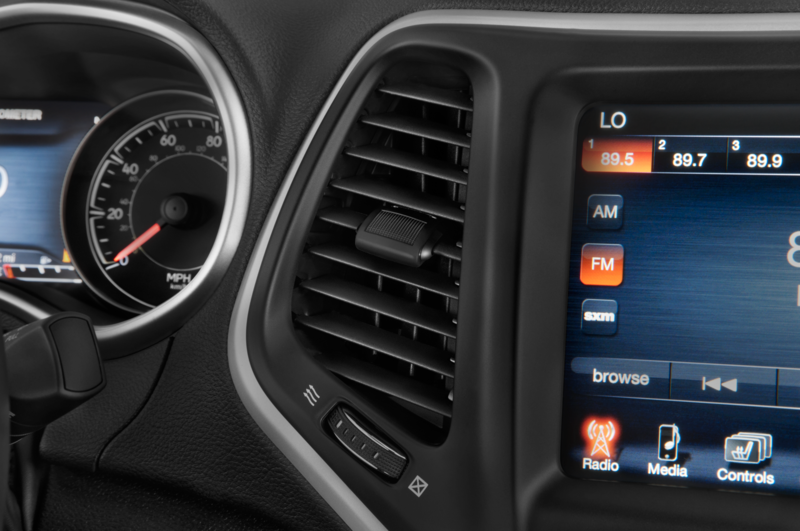 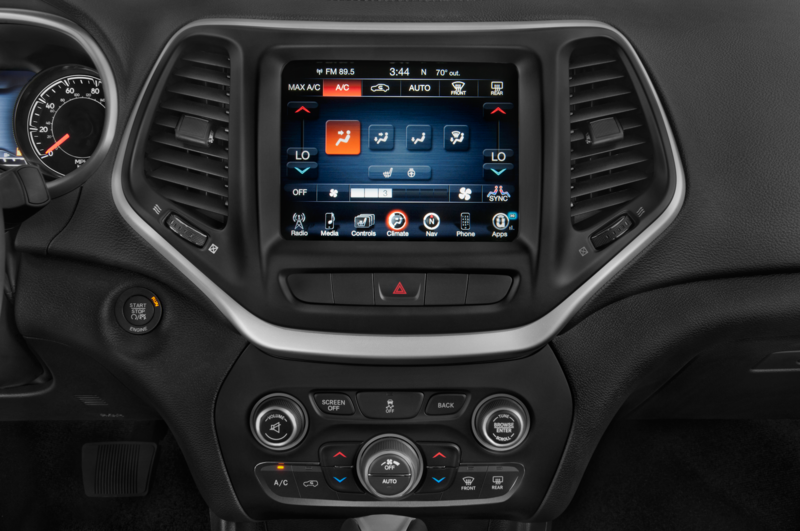 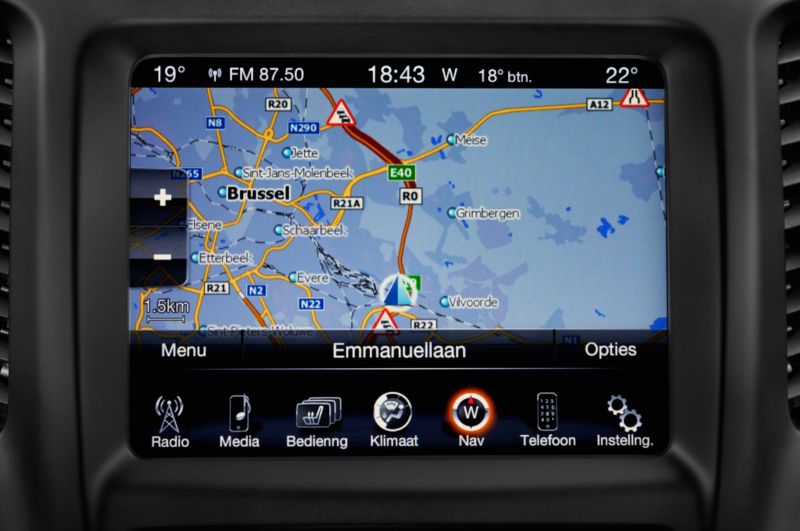 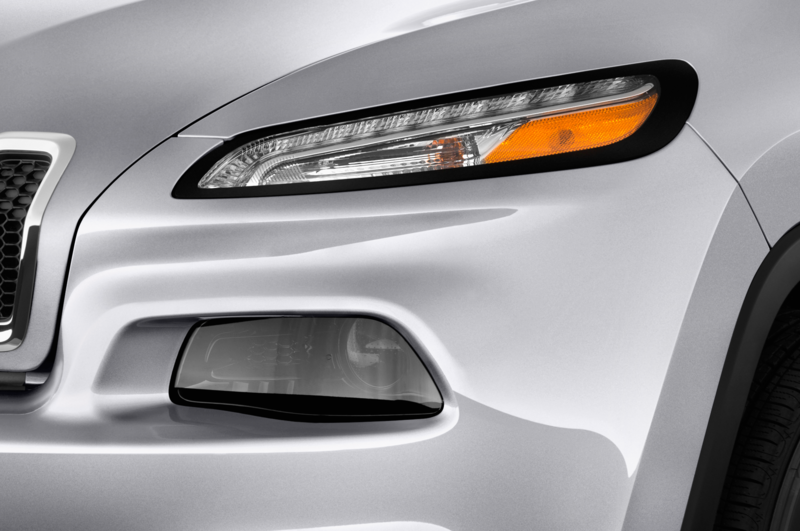 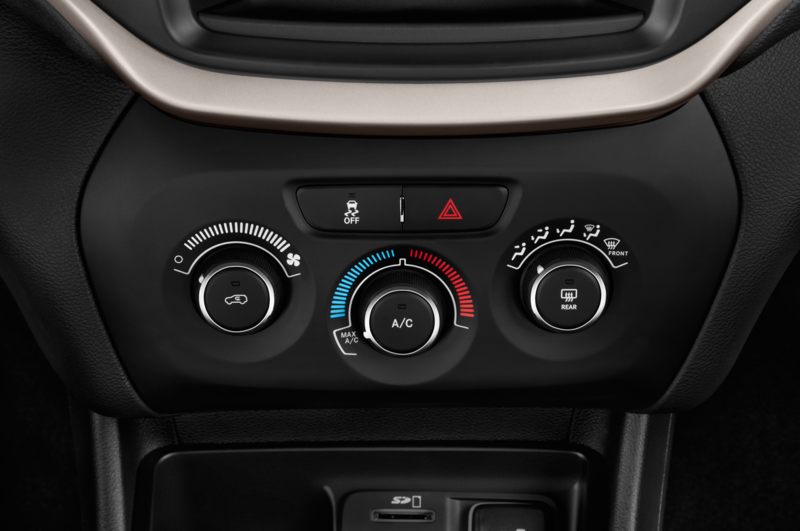 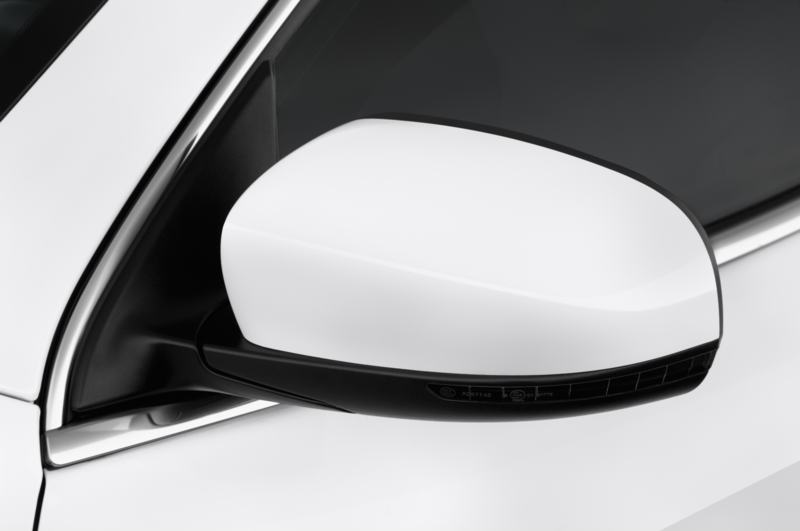 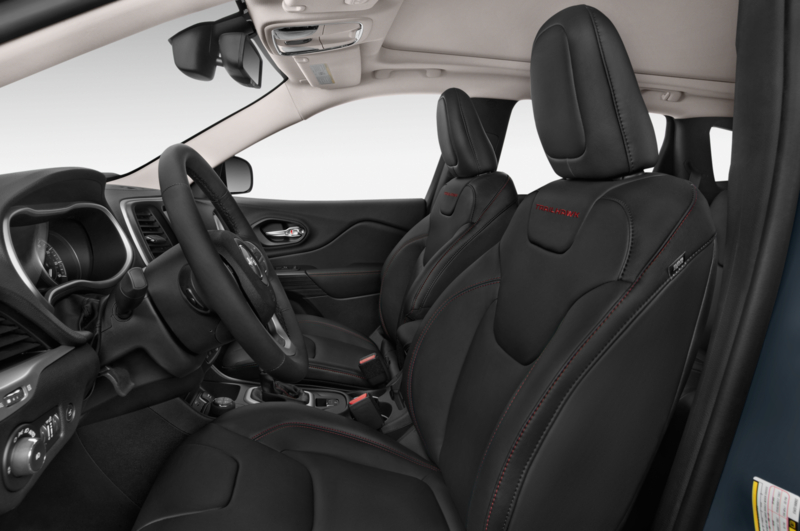 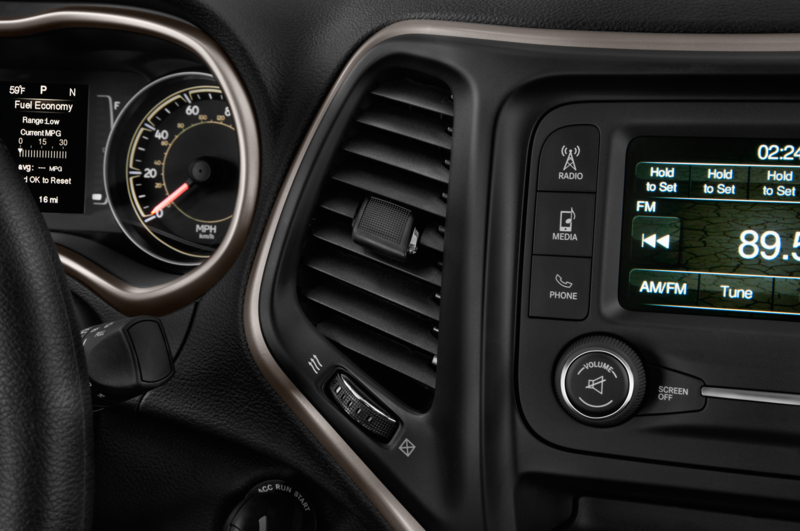 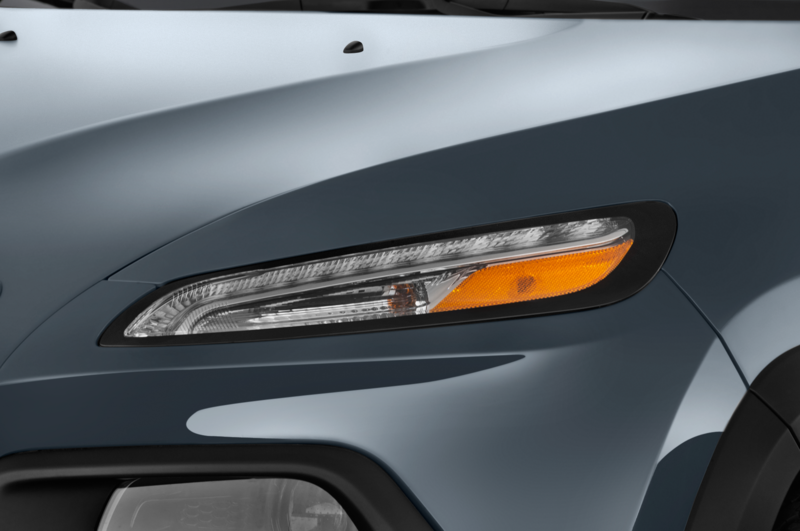 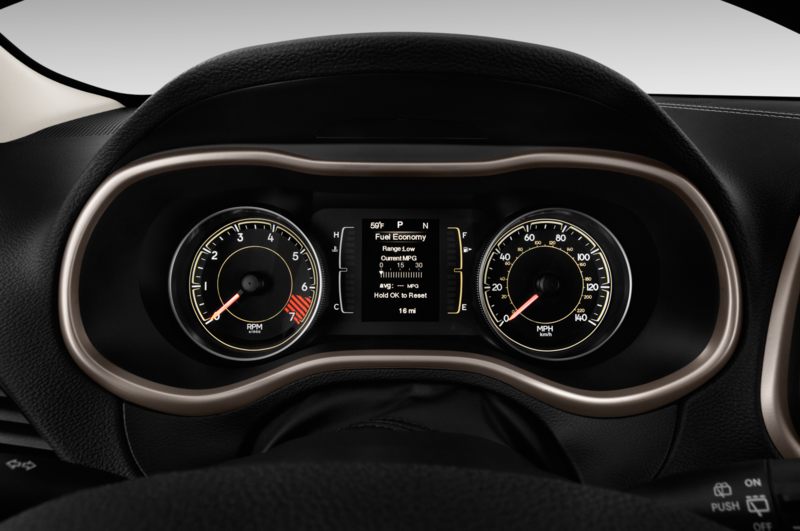 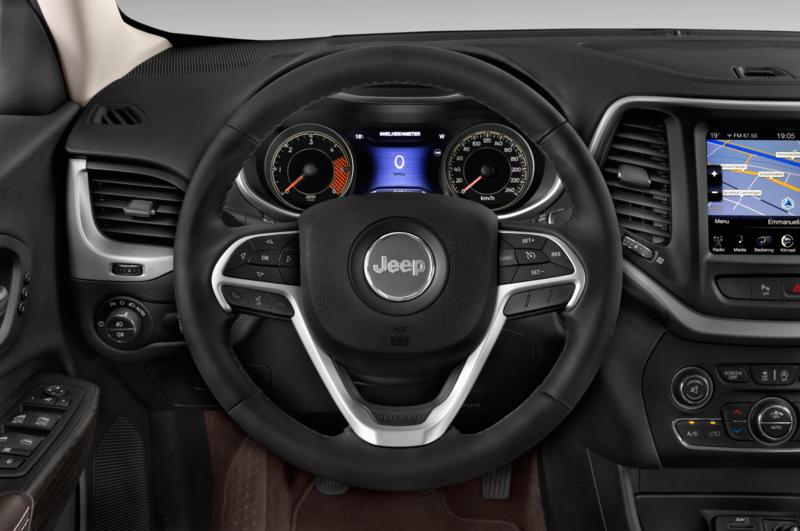 The 2015 Jeep Cherokee equipped with this start-stop system should be arriving at dealerships within the next month, with start-stop-equipped Chrysler 200 models to follow by the end of the year. 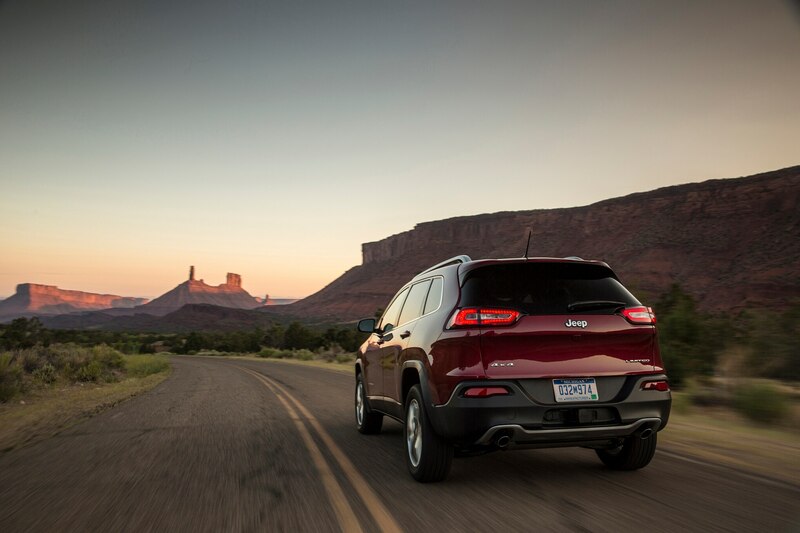 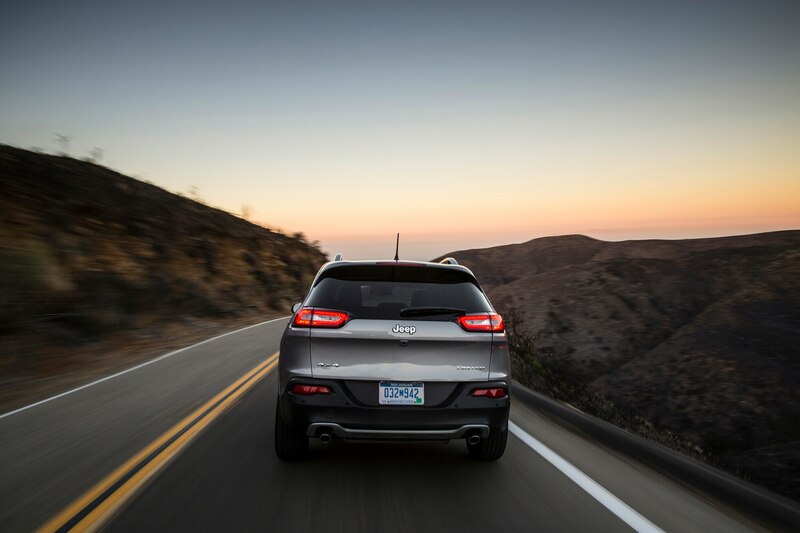 See the chart below for a full roundup of the 2015 Cherokee’s mileage improvements. 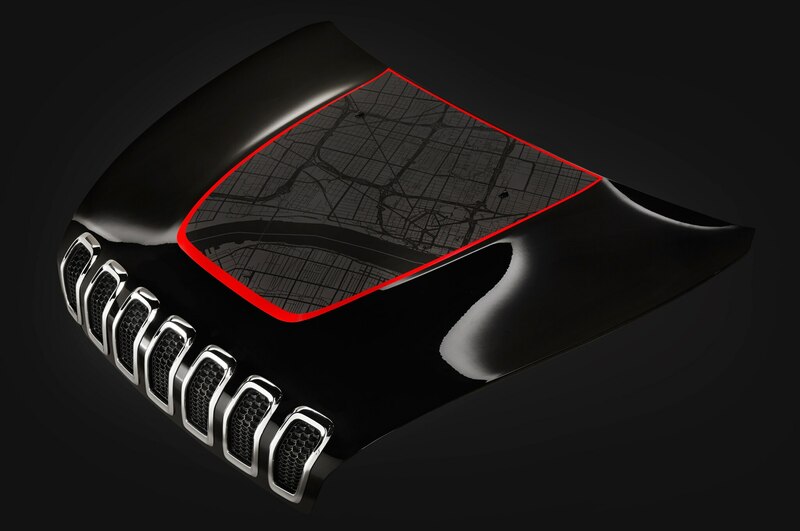 Concepts inspired by urban Chinese culture and design.